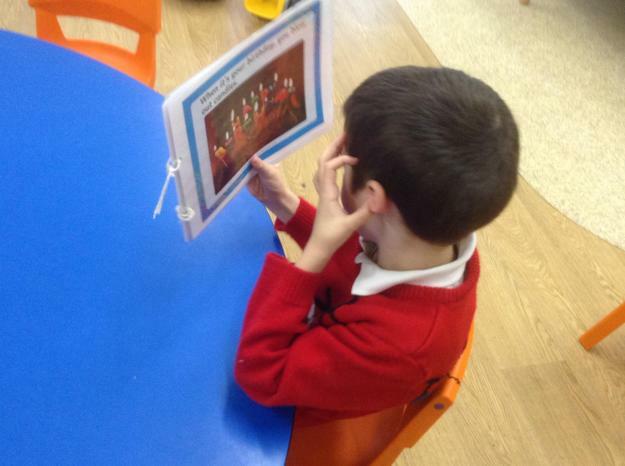 We can't believe we are now in the summer term! 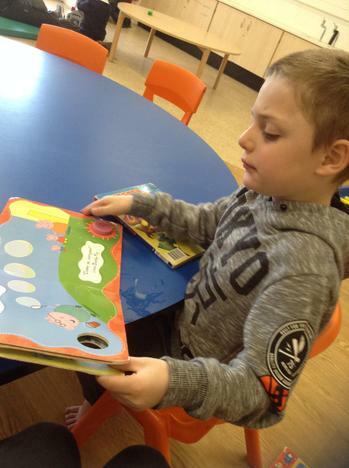 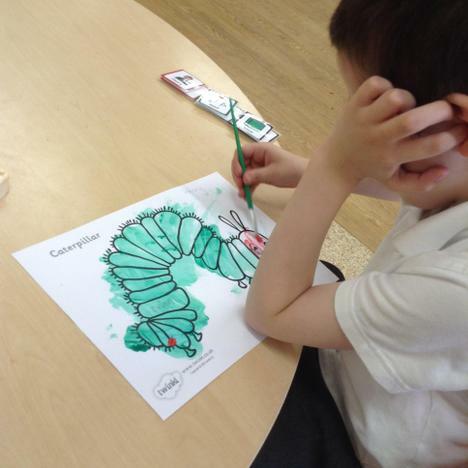 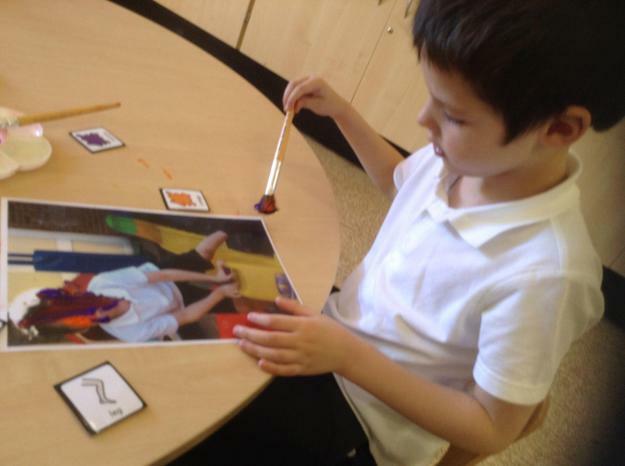 We have started off learning all bout Easter and St George's Day and then we will be reading the book Dog's colourful day which focuses on numbers and colours. 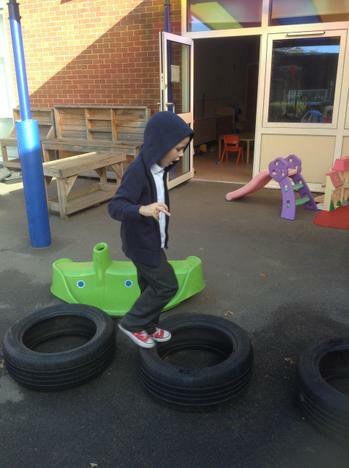 We are still working on walking in the local community and will also be doing dance in PE. 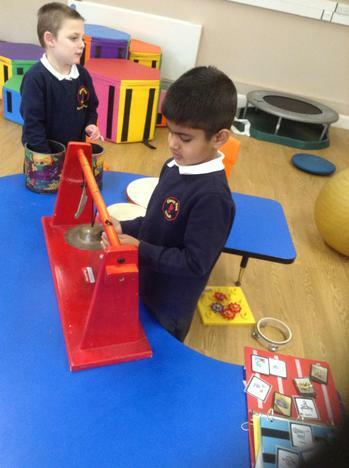 Take a look at our first week back. 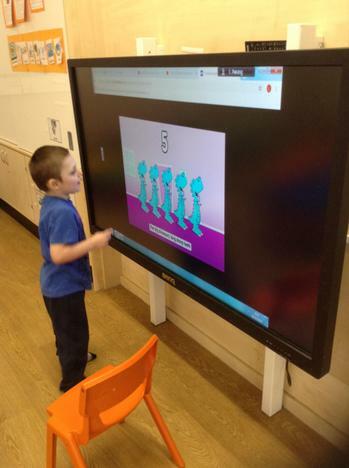 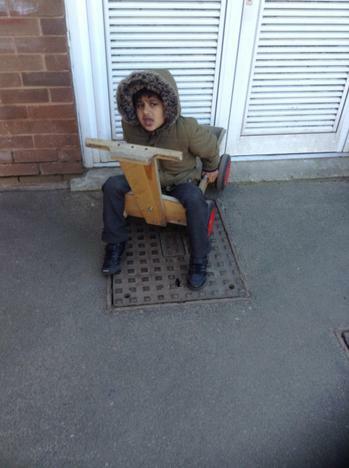 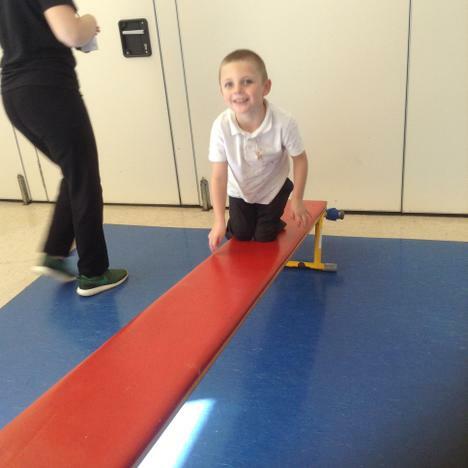 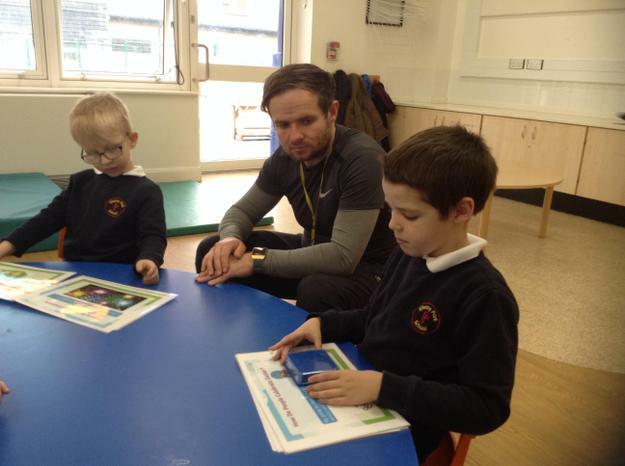 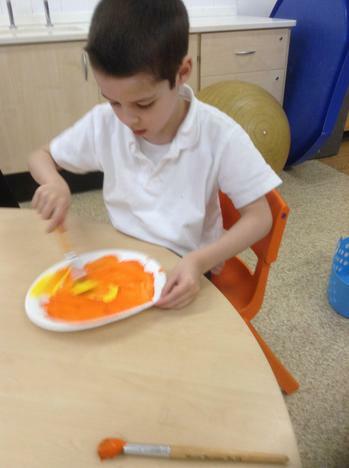 We have had a busy February and March- take a look at what Amber class have been up to. 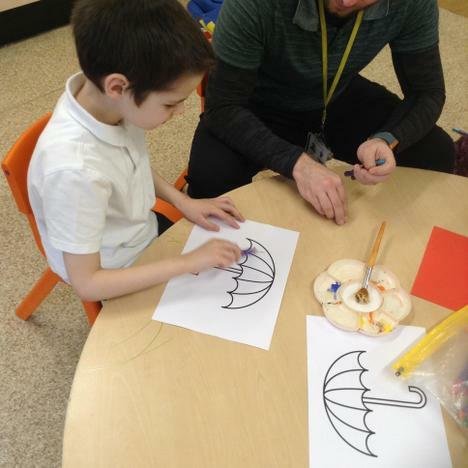 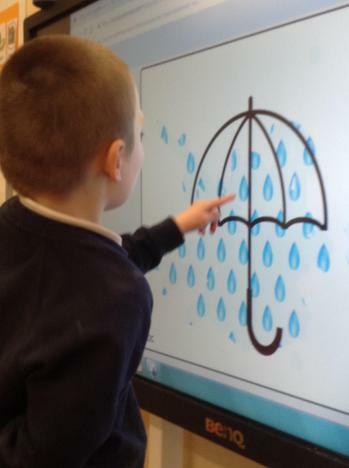 Amber class have had a great start to 2019- our topic this term is all about weather. 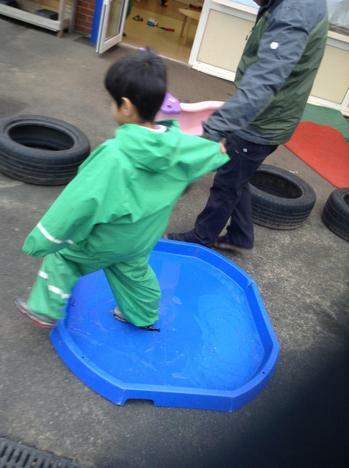 We started off with rain and we have now moved onto snow/ ice. 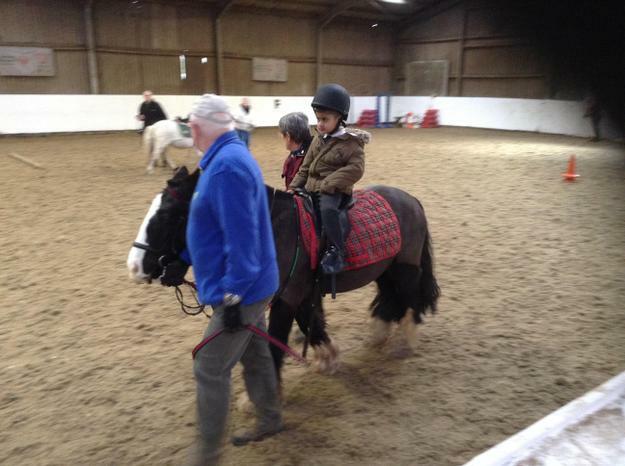 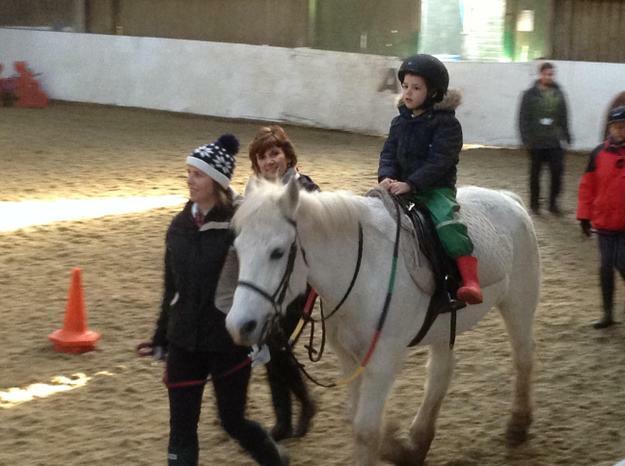 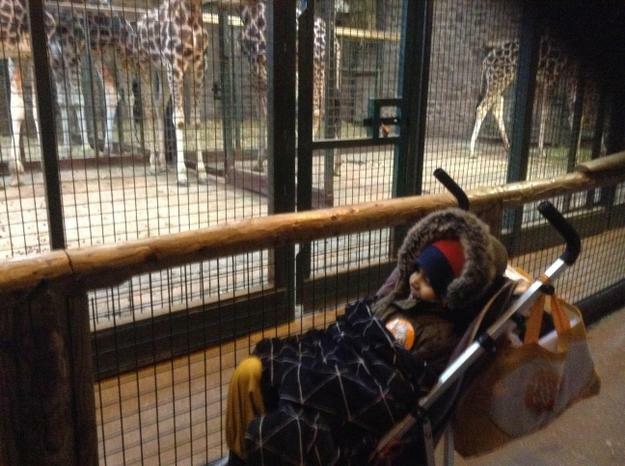 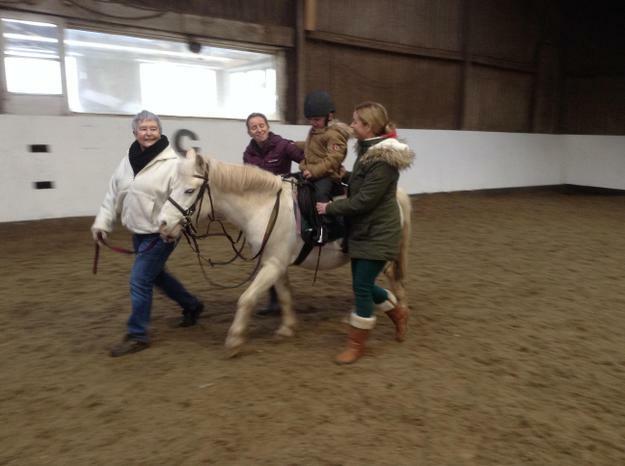 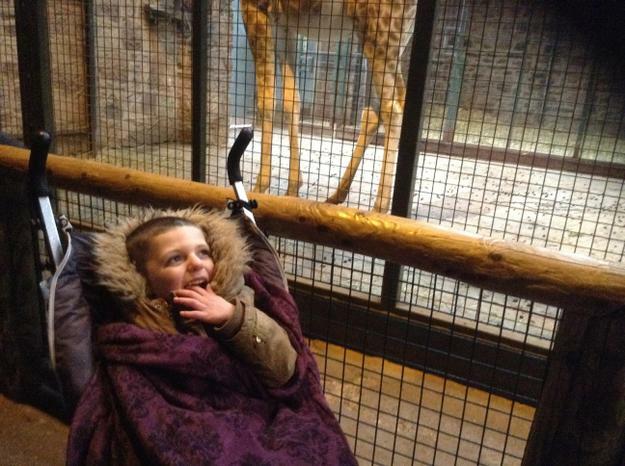 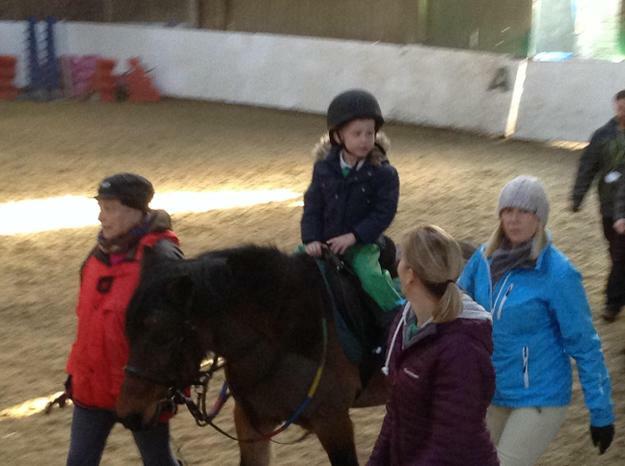 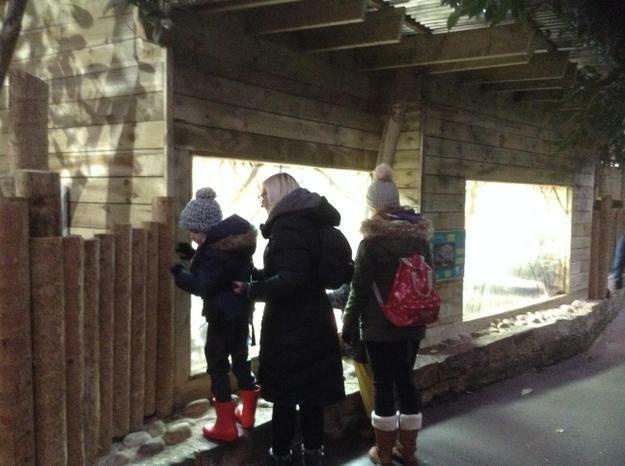 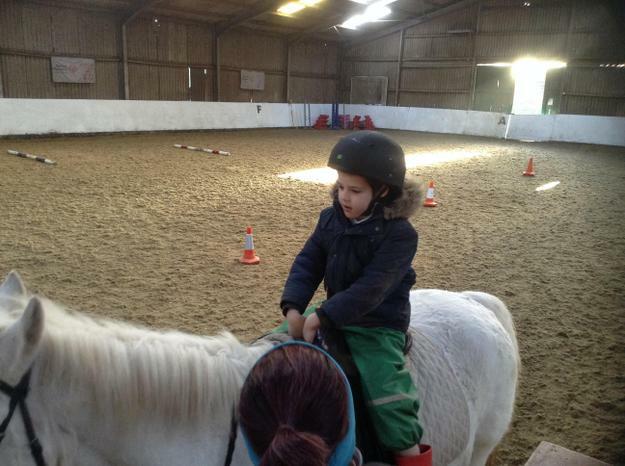 We are lucky enough to be going horse riding this term and are really enjoying it so far and we have also had a trip to Chester Zoo. 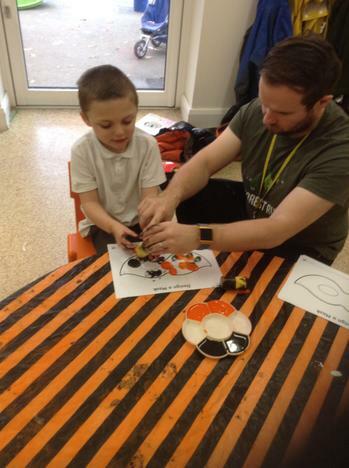 Take a look at what we have been up to so far. 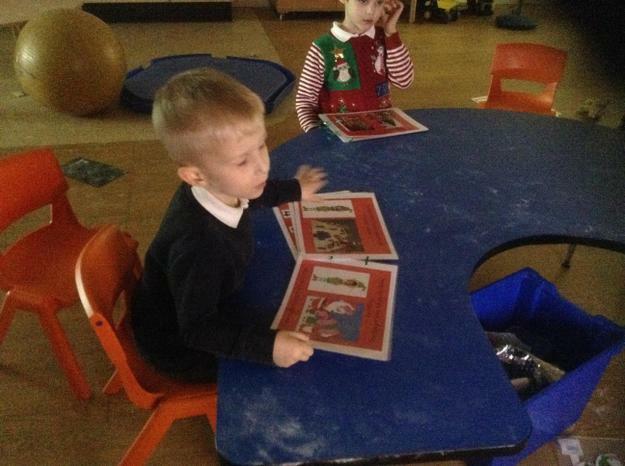 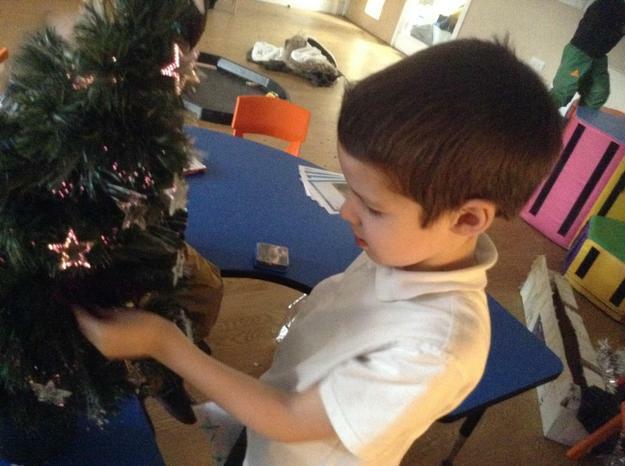 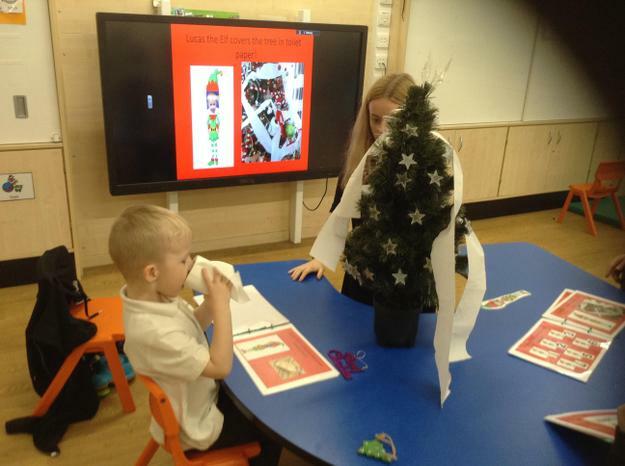 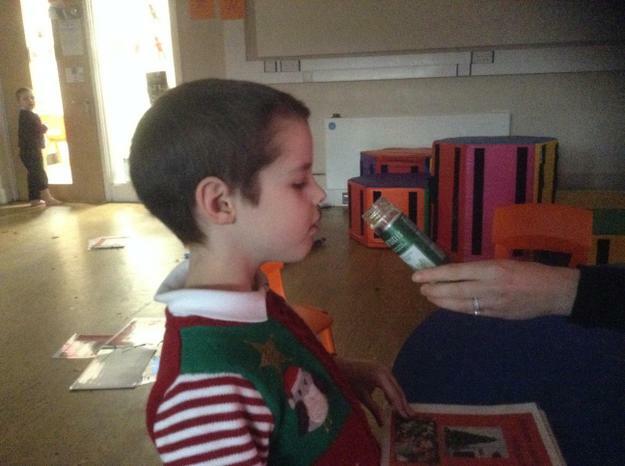 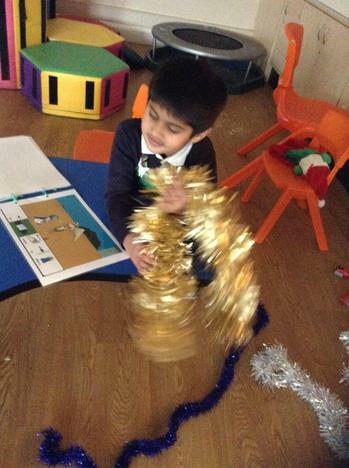 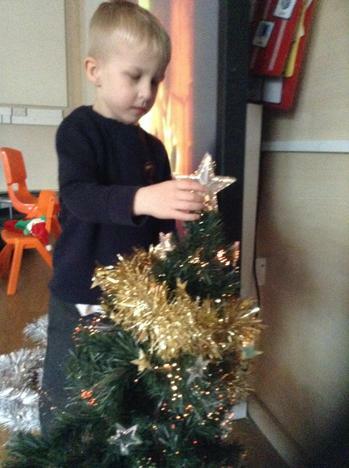 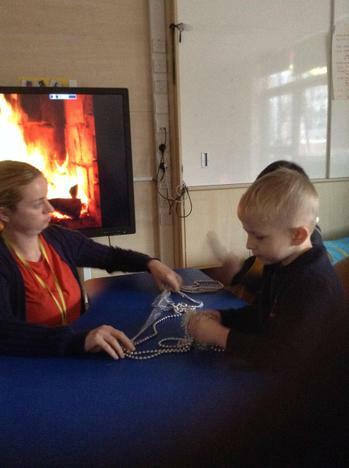 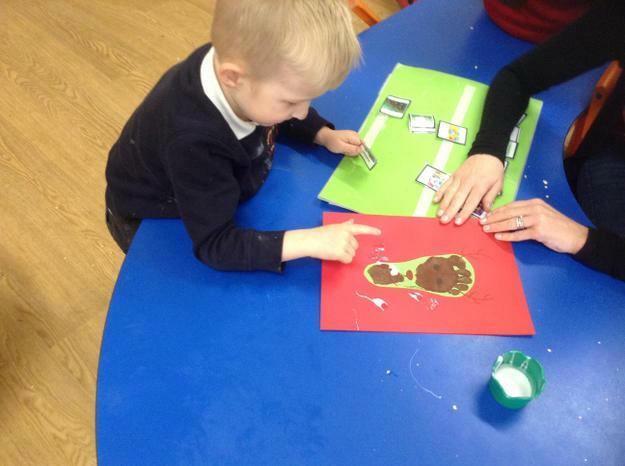 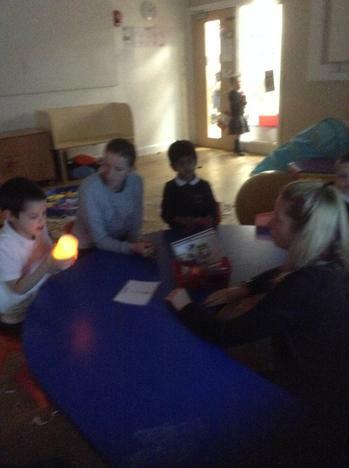 Amber class have enjoyed the lead up to Christmas with our- Elf on the Shelf story and lots of Christmas crafts. 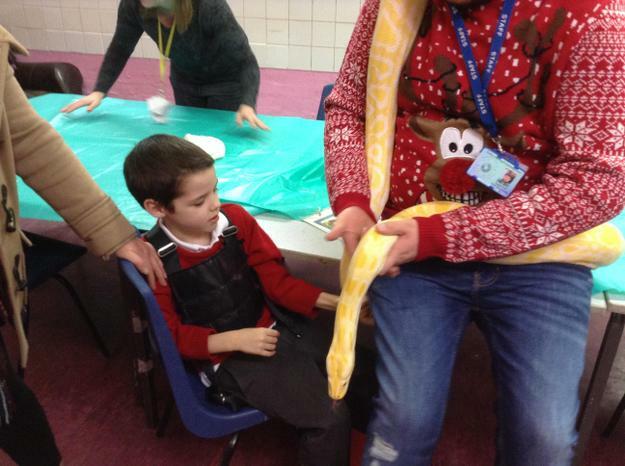 We did a great job in the school play as toys and we were also lucky enough to go to the grotto to meet Santa. 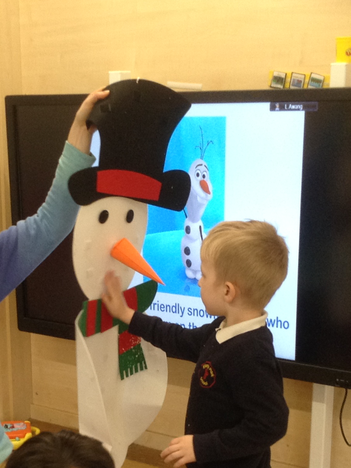 We hope you all have a great Christmas and we will see you in 2019!! 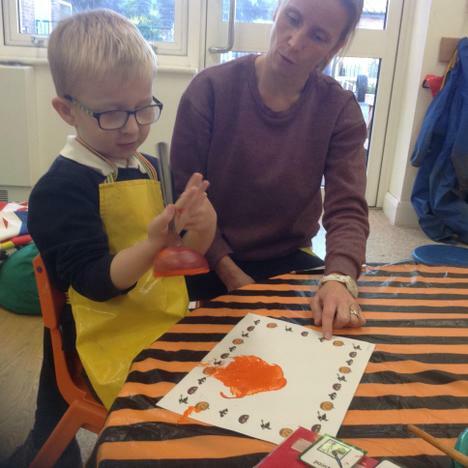 November 2018- Amber class have had a busy month. 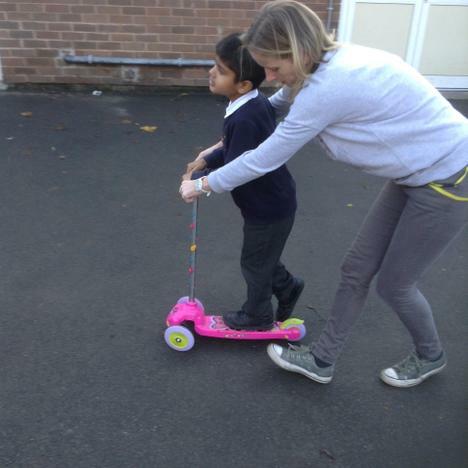 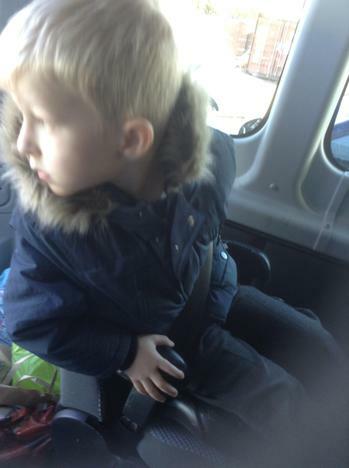 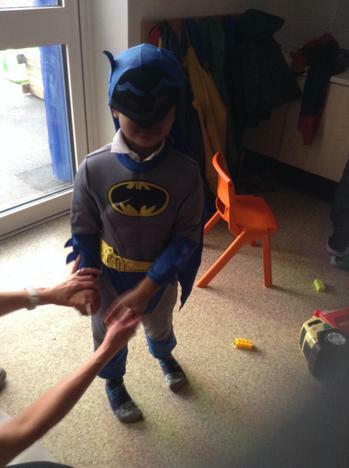 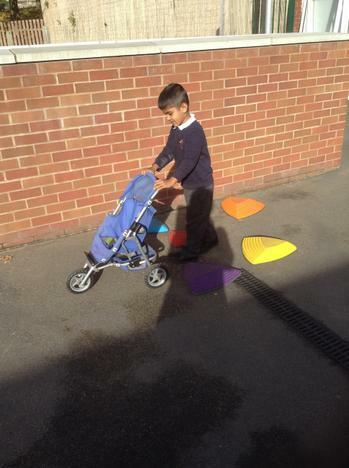 We have been working on walking safely in the local community and did a sponsored walk for Children in Need. 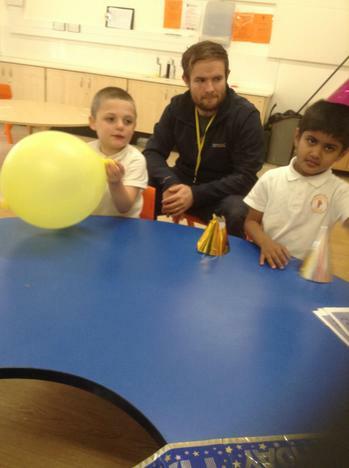 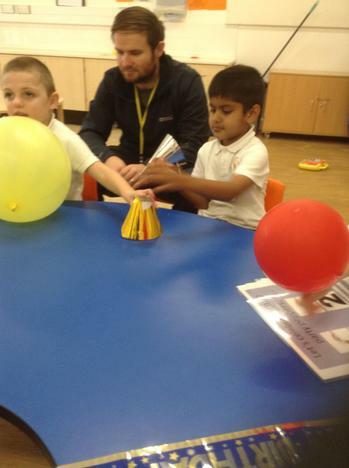 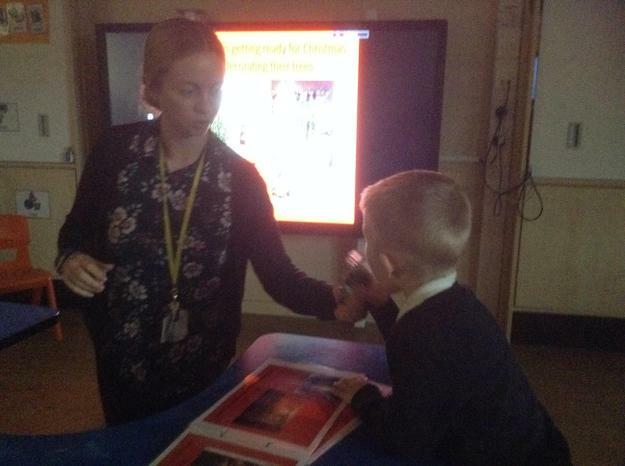 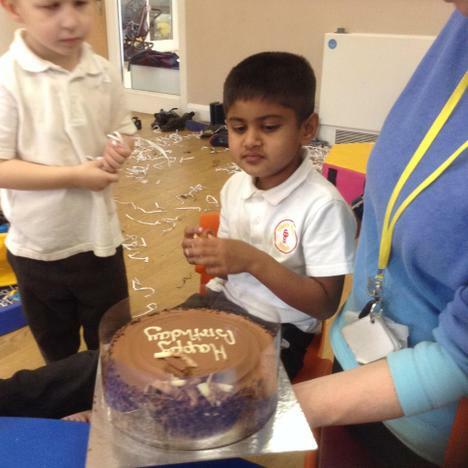 We have continued our topic on celebrations and have focused on fireworks night and birthdays. 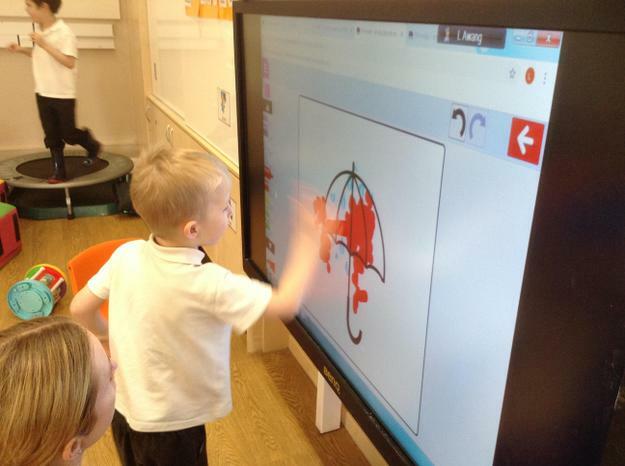 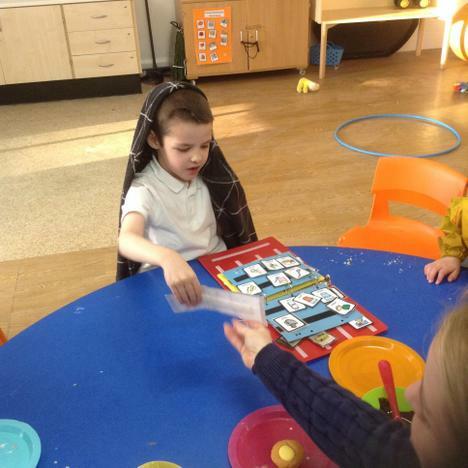 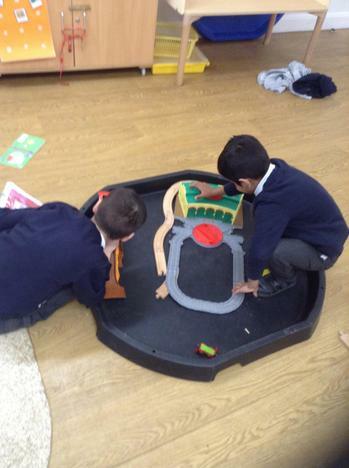 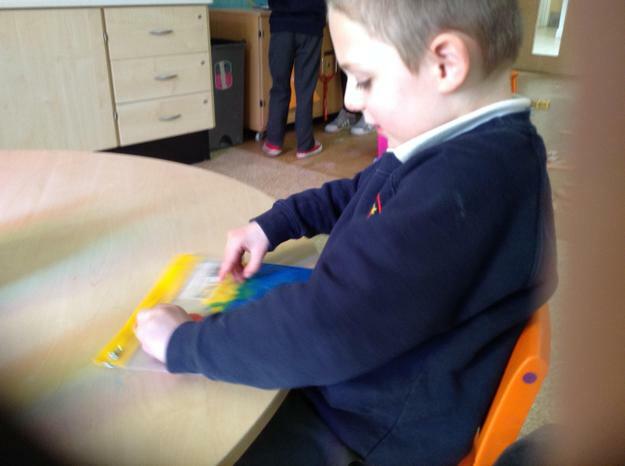 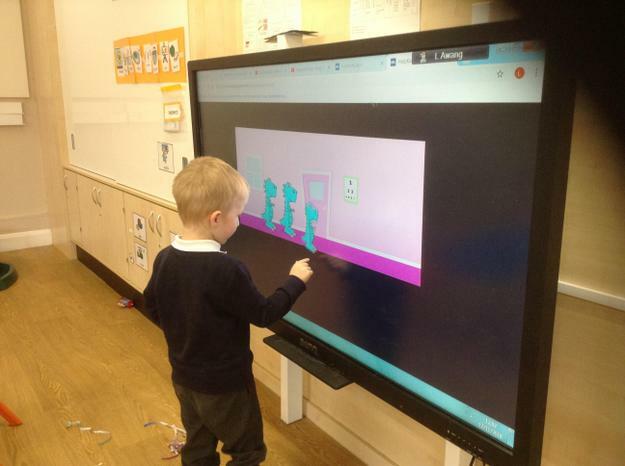 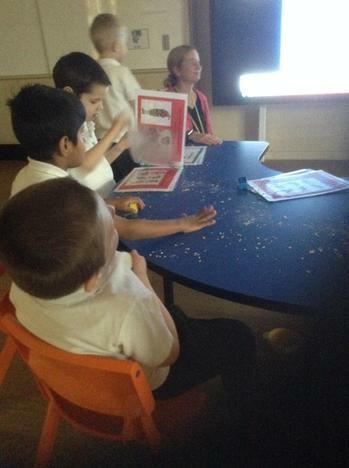 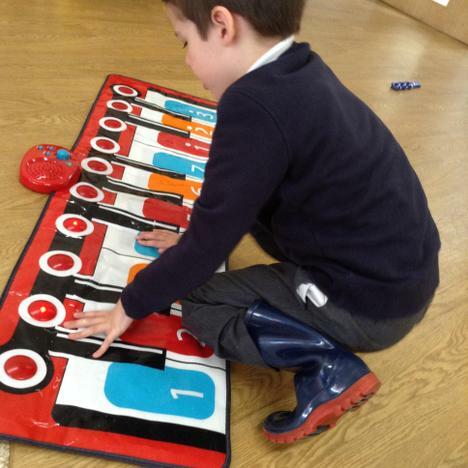 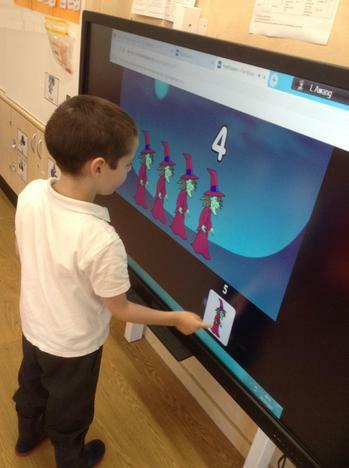 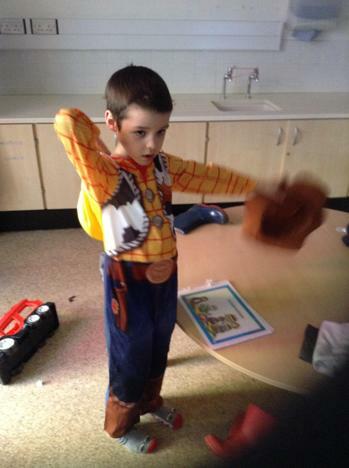 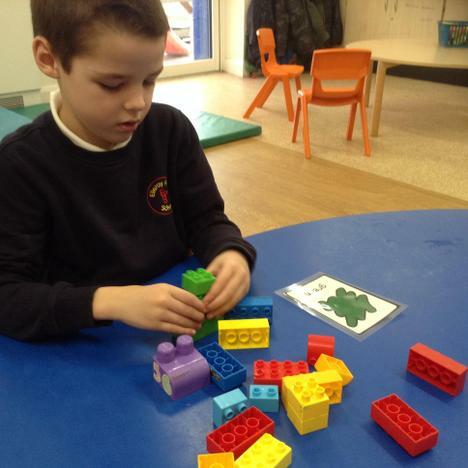 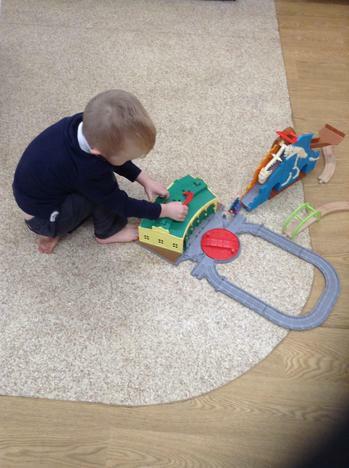 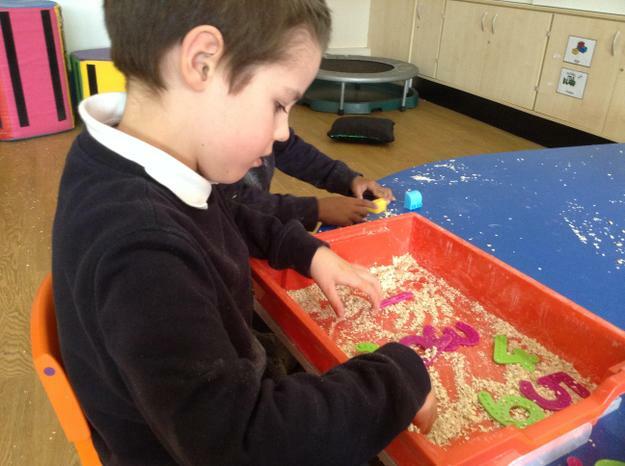 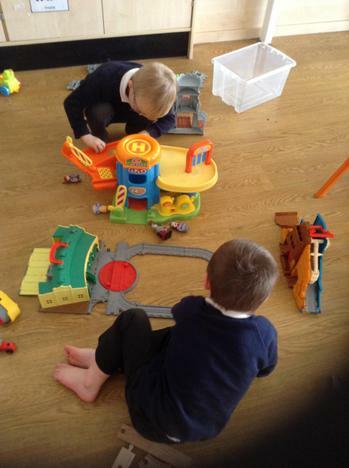 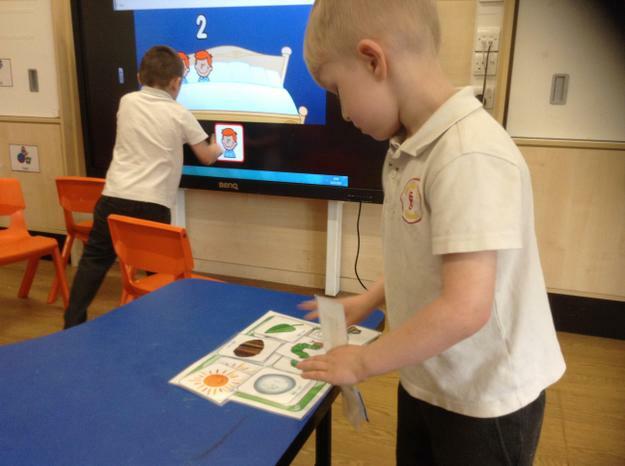 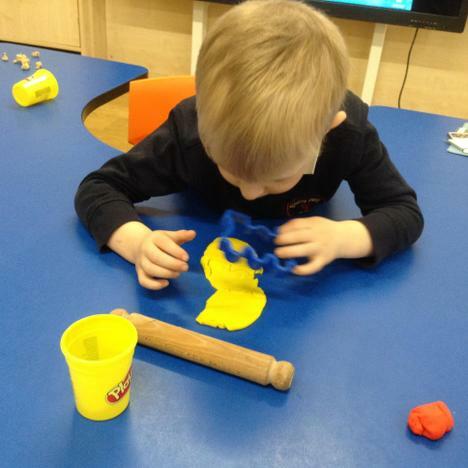 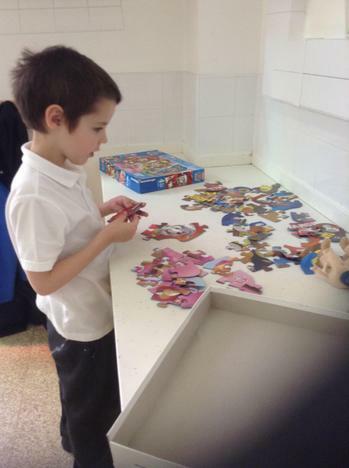 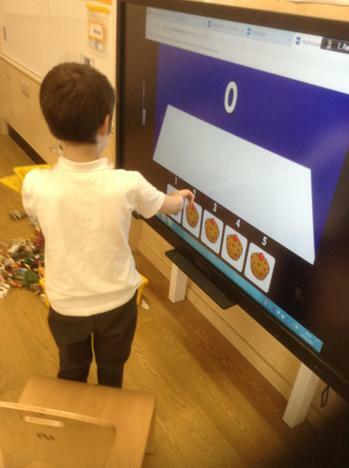 We are continuing to learn lots through play! 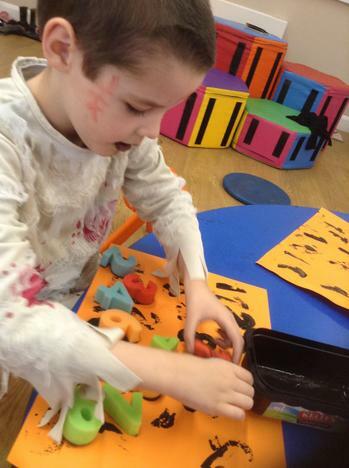 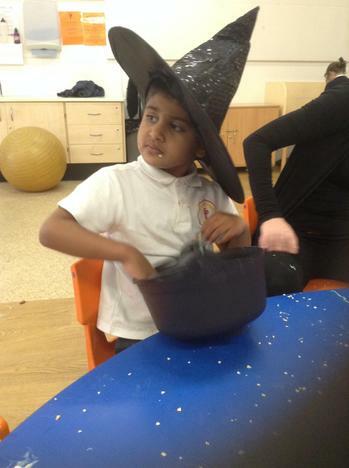 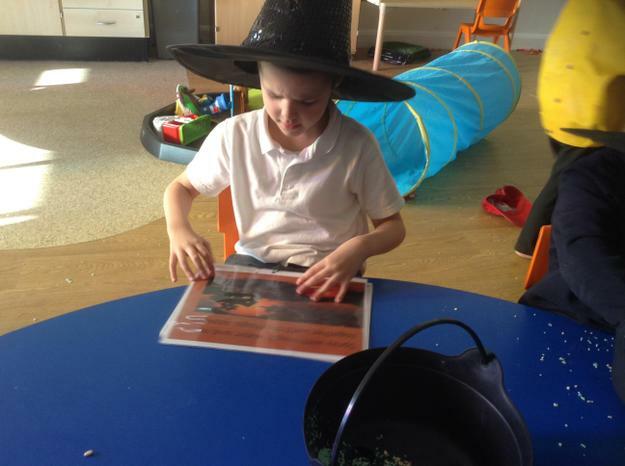 We have had a busy week back after half term.Our topic for this term is CELEBRATIONS so we have started with a week on Halloween. 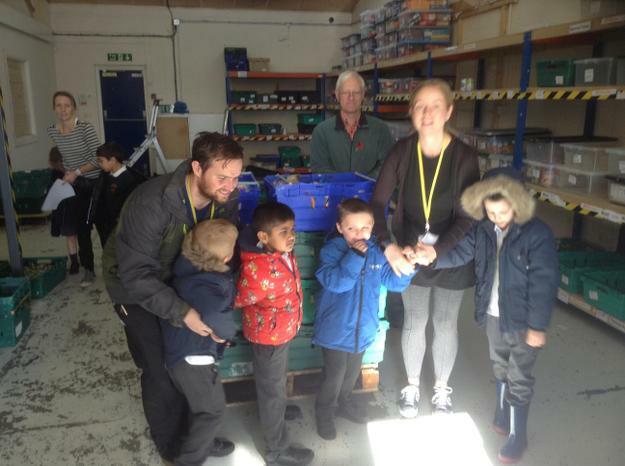 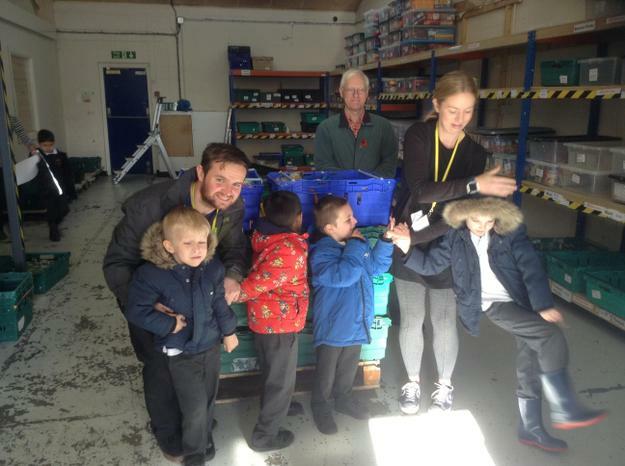 We also had the important job of taking the food from Harvest to the food bank. 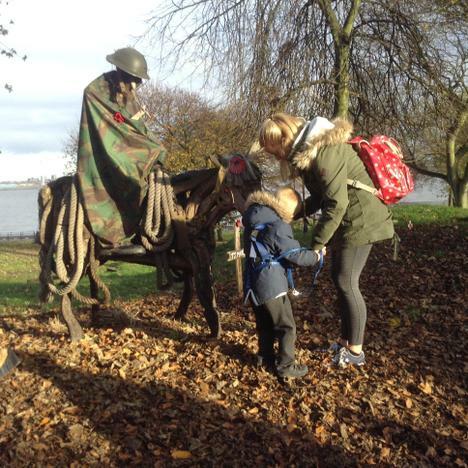 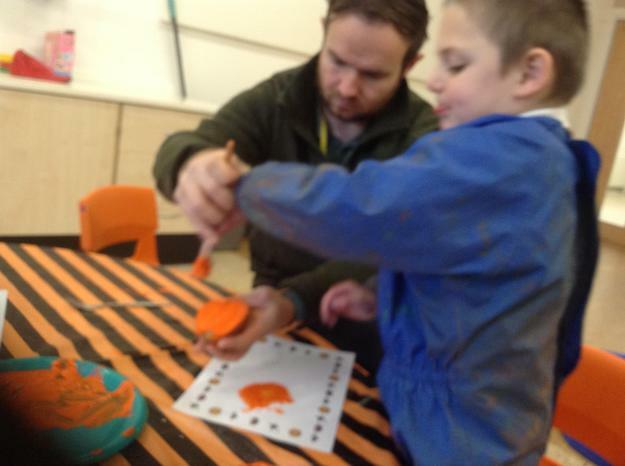 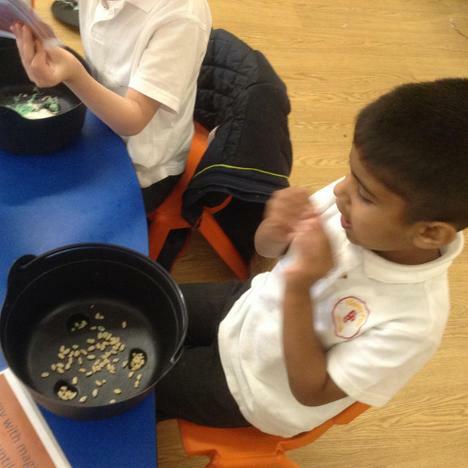 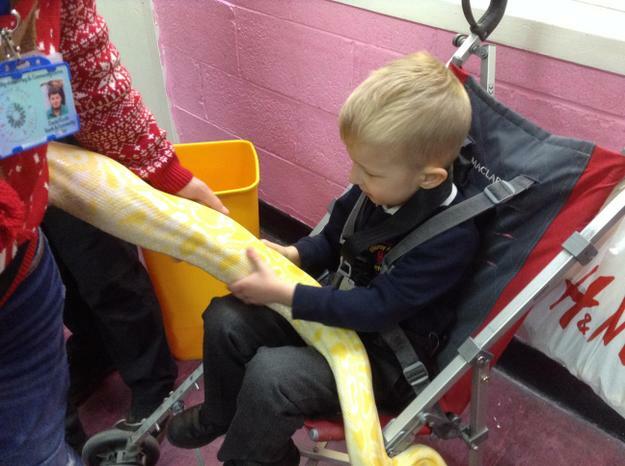 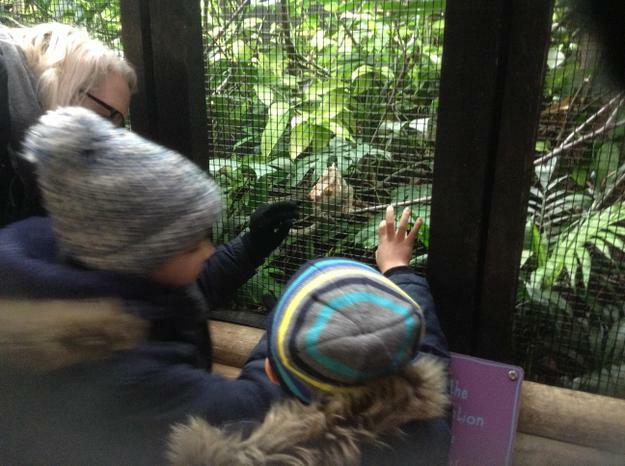 During the Autumn term we have been very lucky to have opportunities to learn outside the classroom. 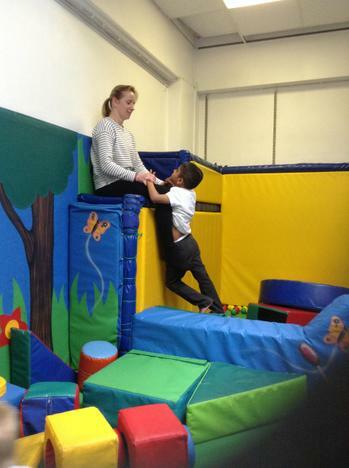 Rebound sessions help with our physical development and interaction. 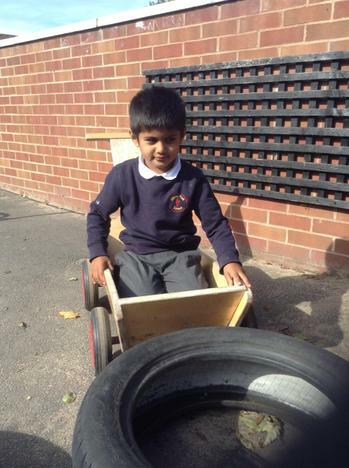 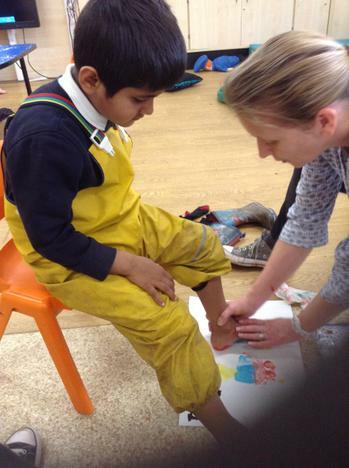 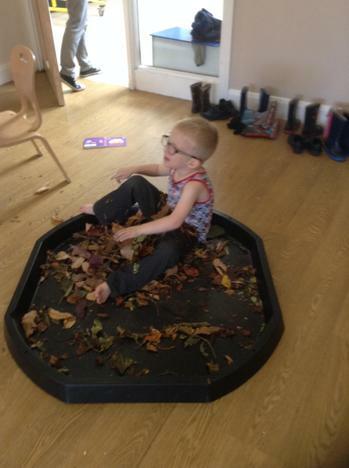 Forest school helps to develop confidence, independence and learn through experience. 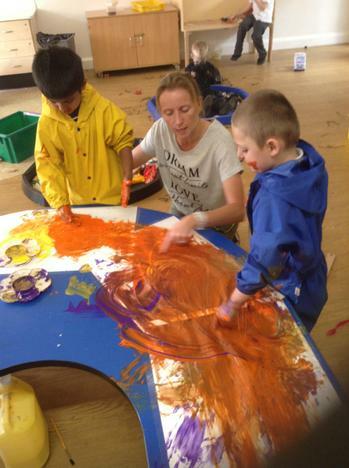 Welcome to Amber Class!! 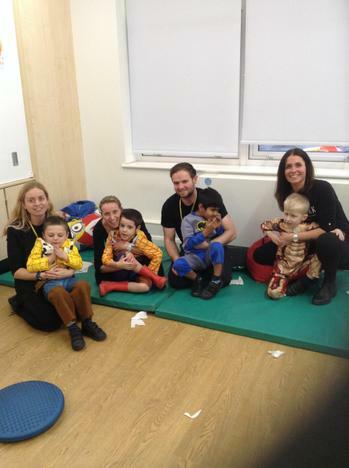 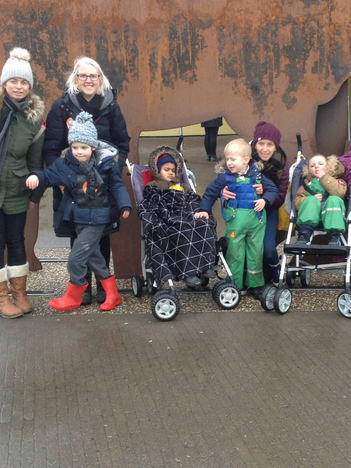 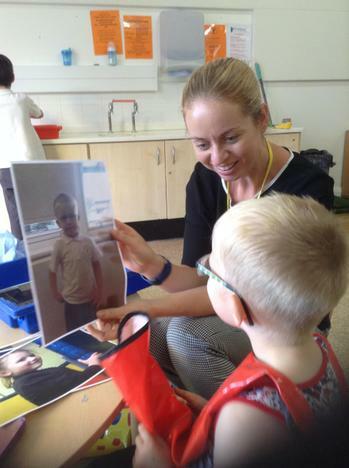 We are a class of 6 children and our staff are Lisa, Faye and David. 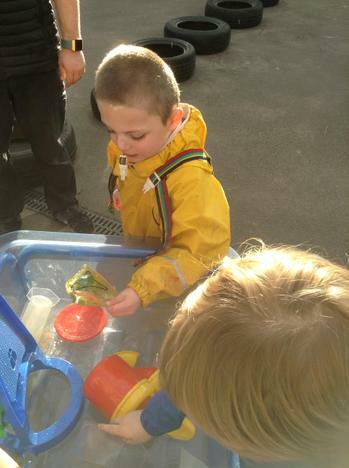 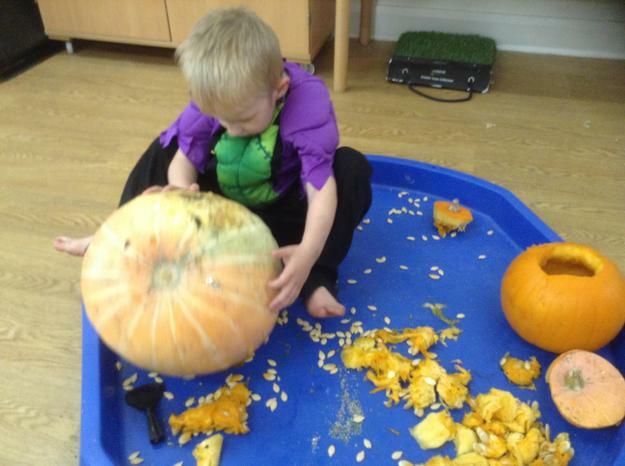 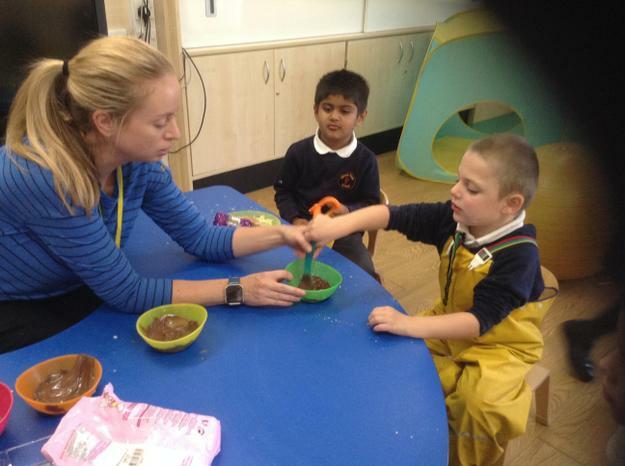 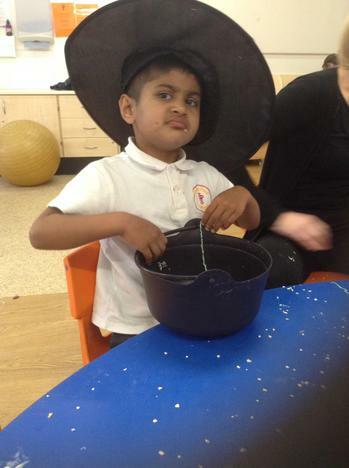 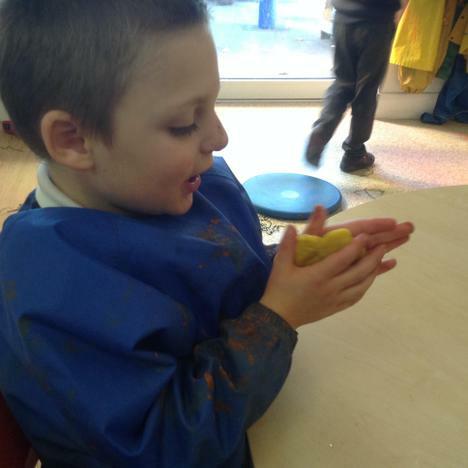 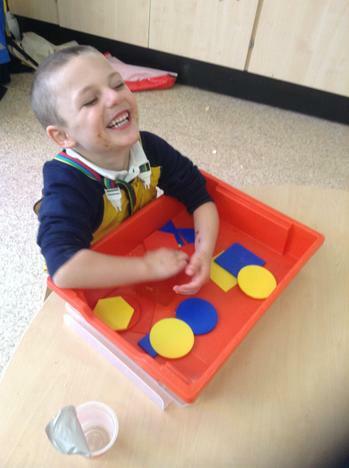 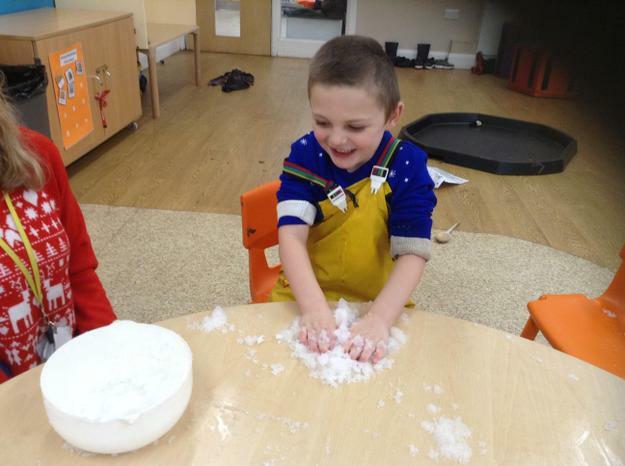 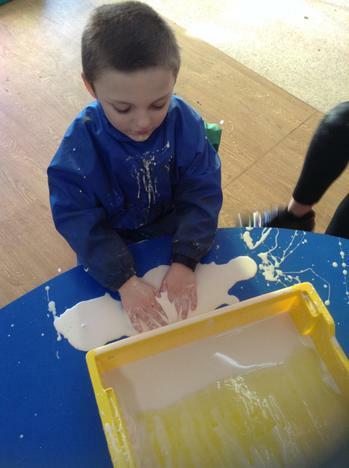 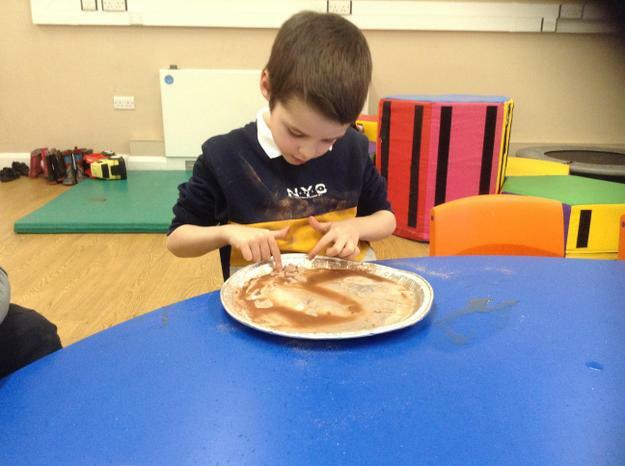 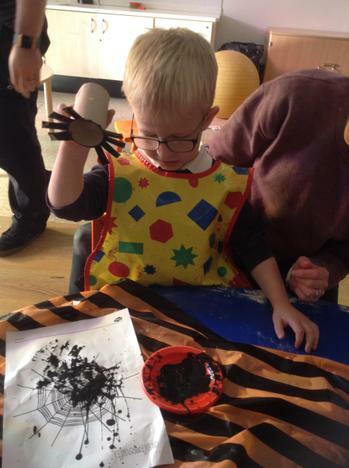 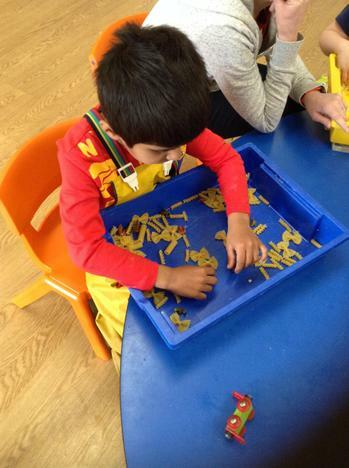 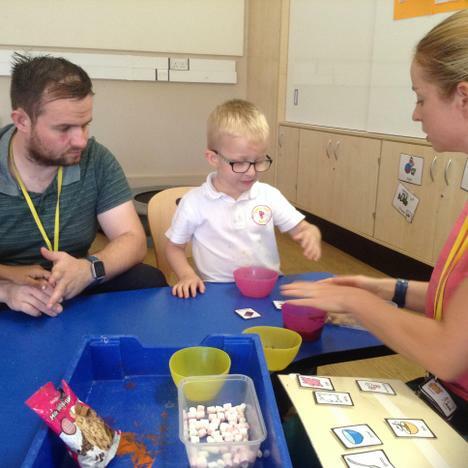 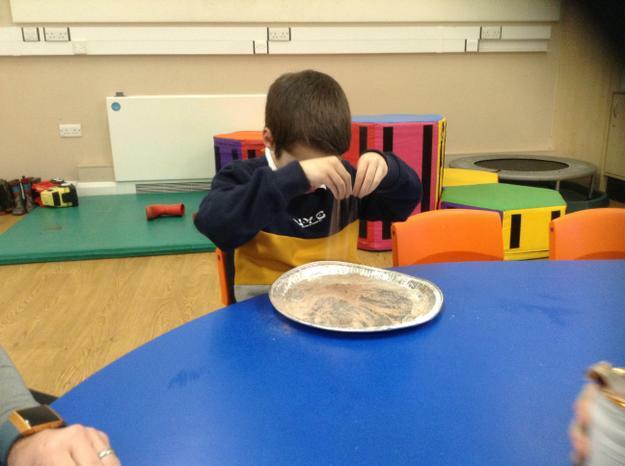 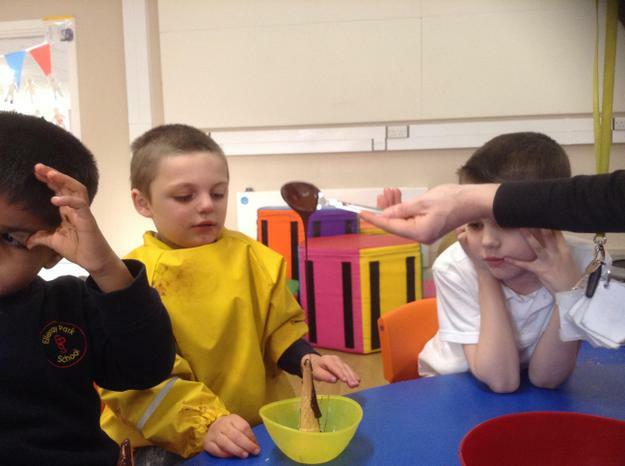 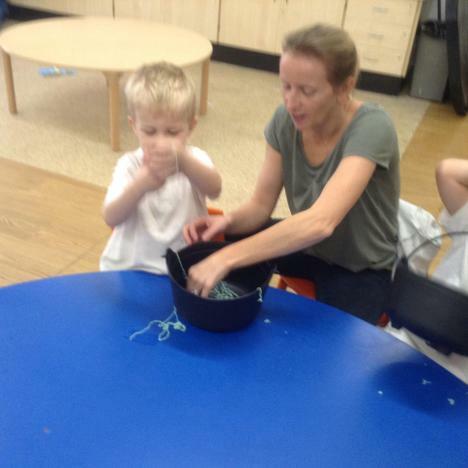 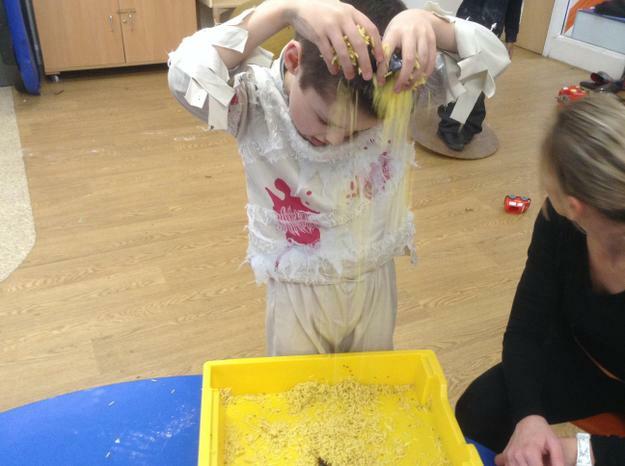 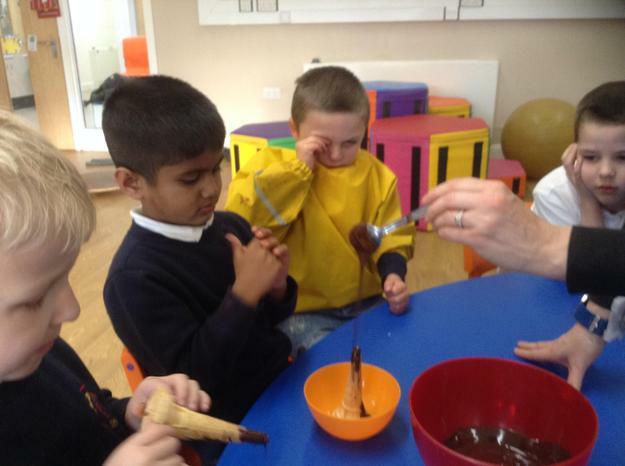 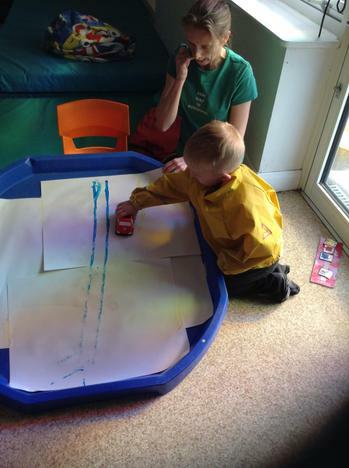 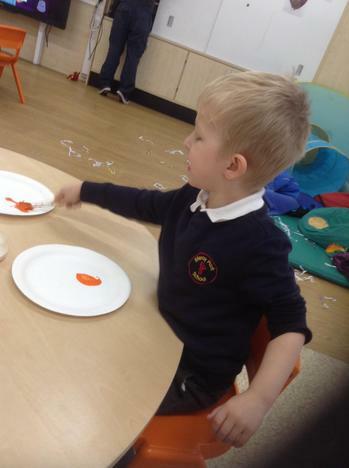 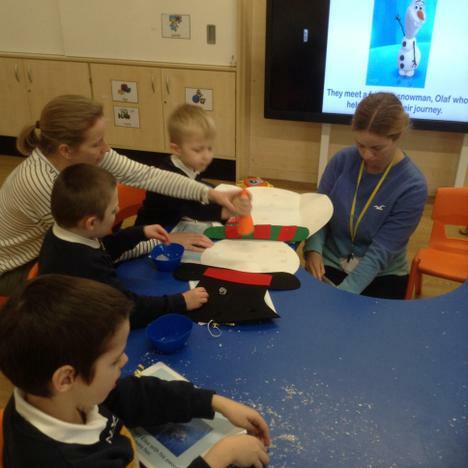 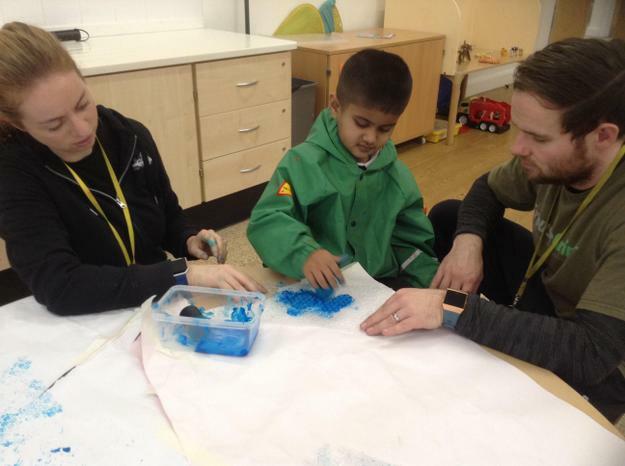 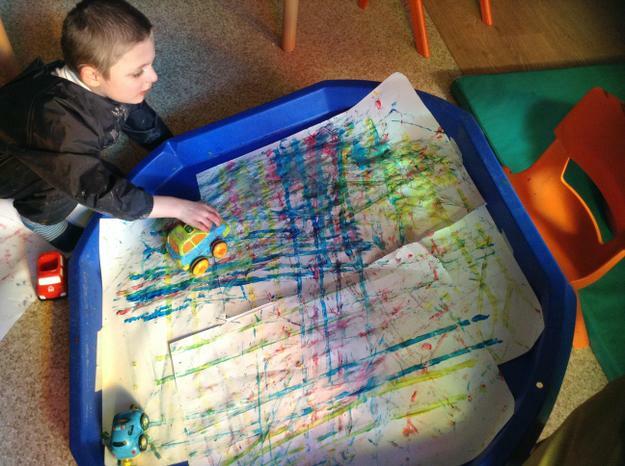 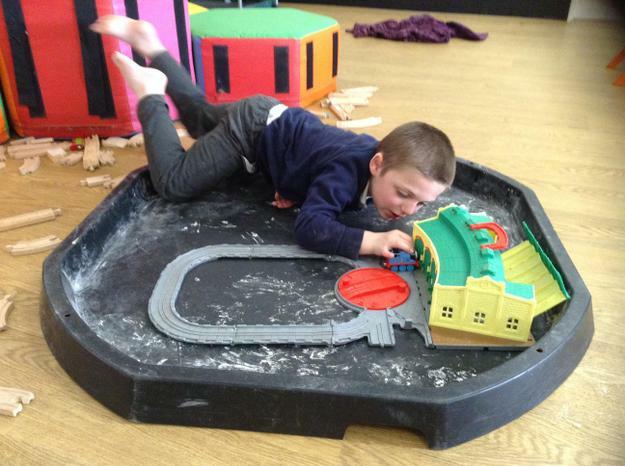 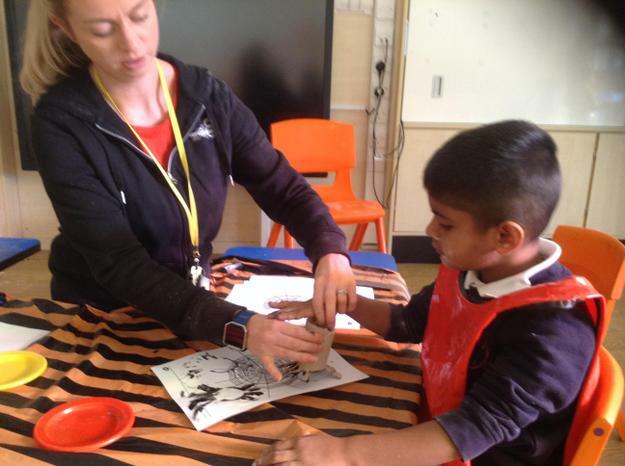 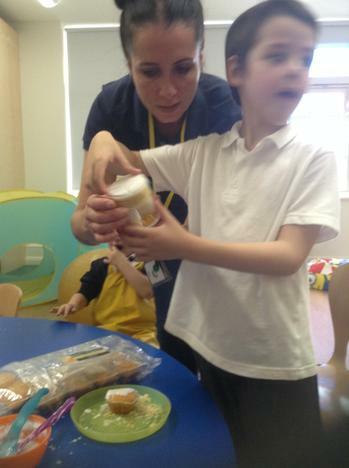 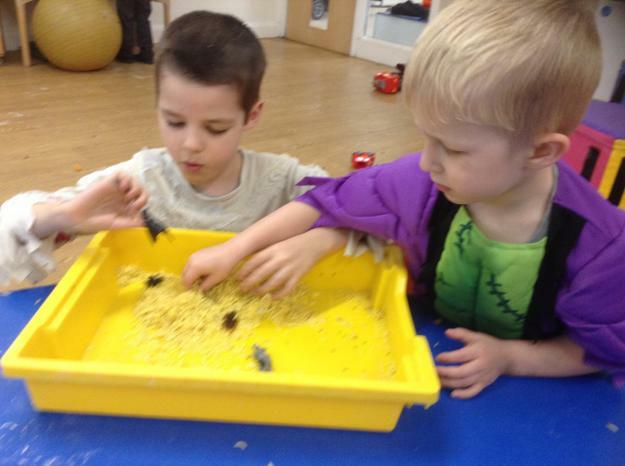 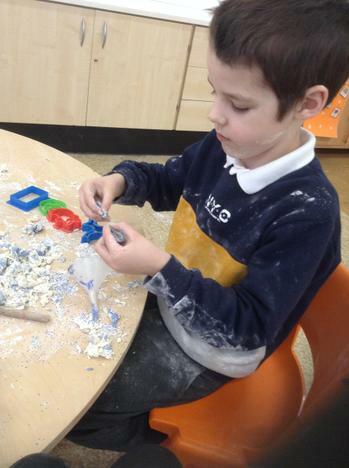 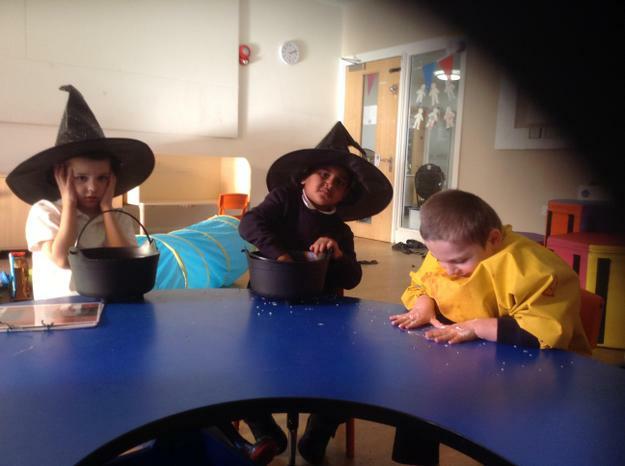 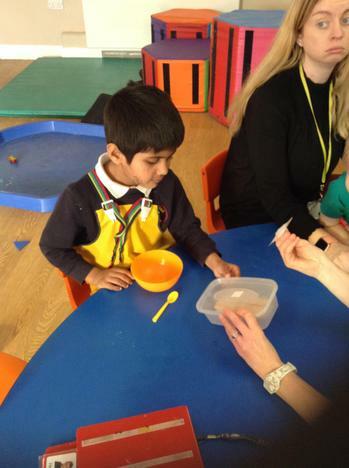 We follow a play and sensory (we like to get messy) based Early years curriculum which gives us the building blocks to develop our social interaction. 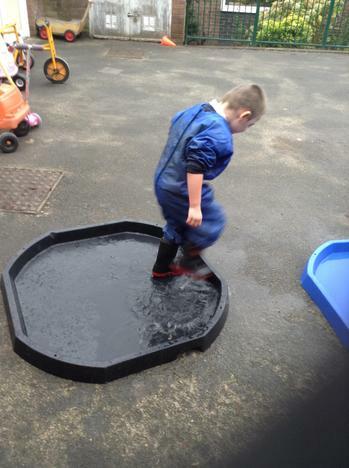 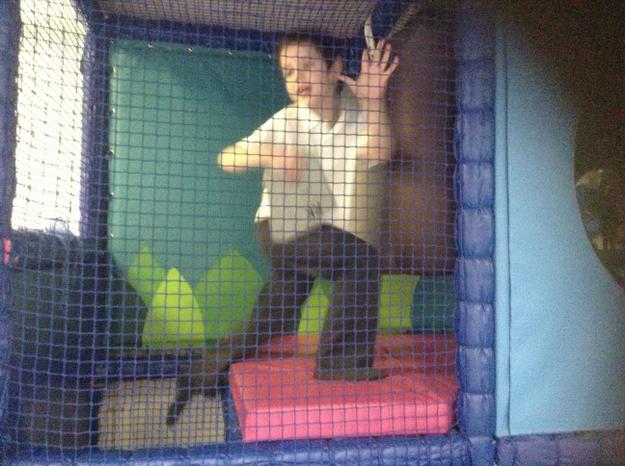 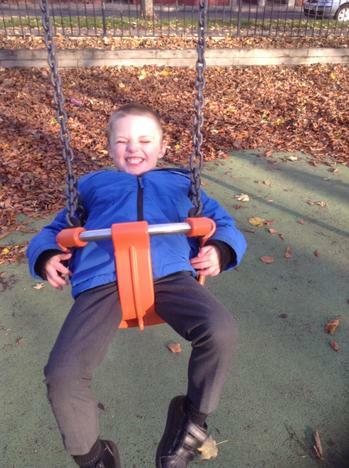 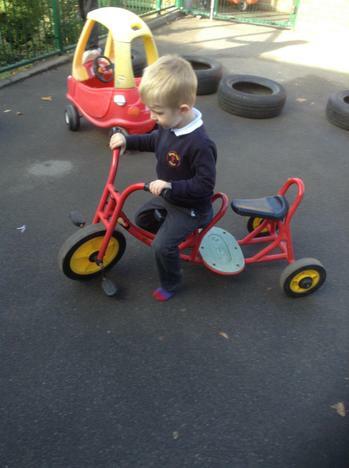 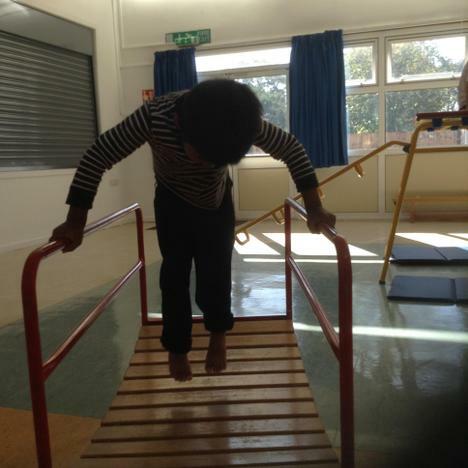 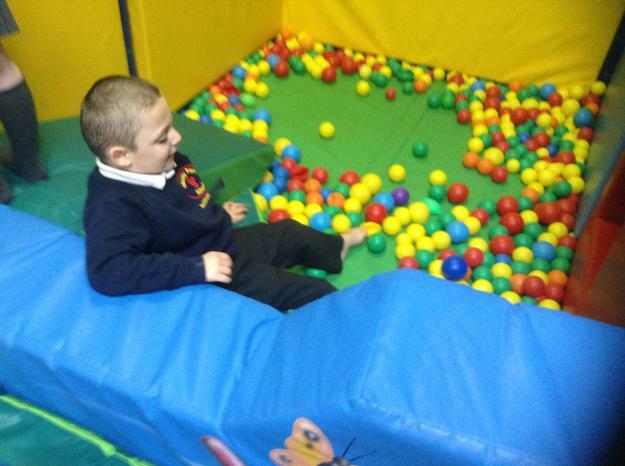 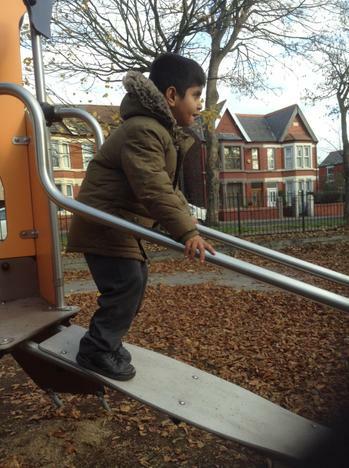 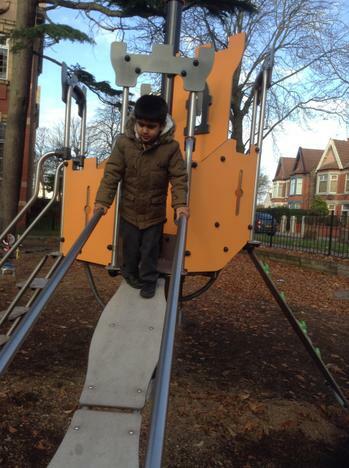 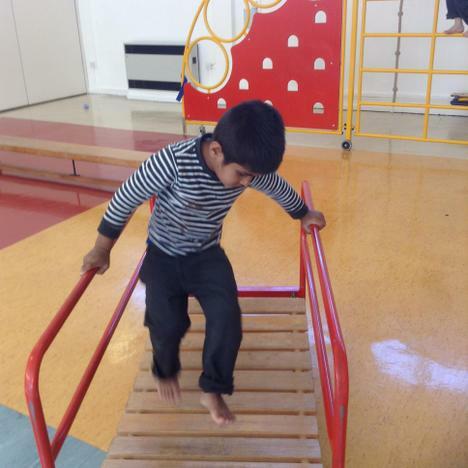 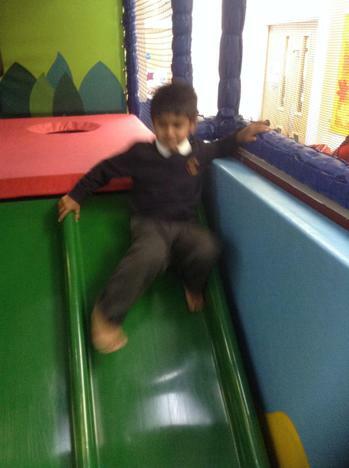 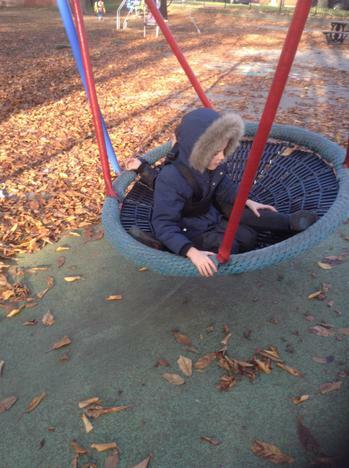 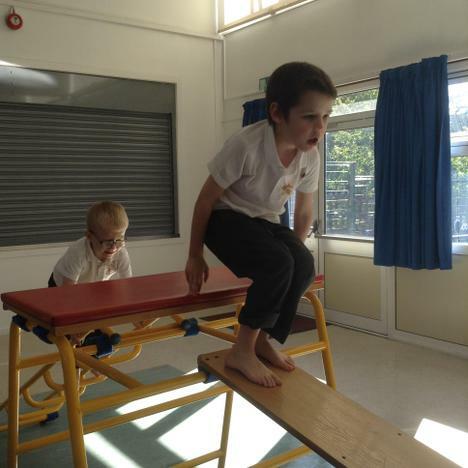 We are very lucky to have soft play, swimming and Forest School every week. 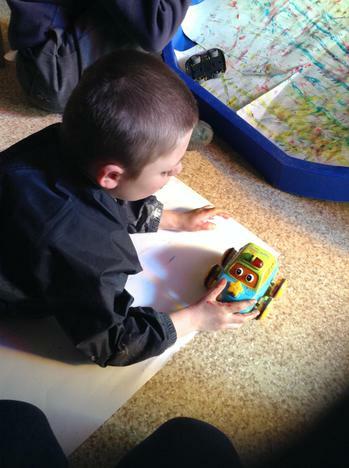 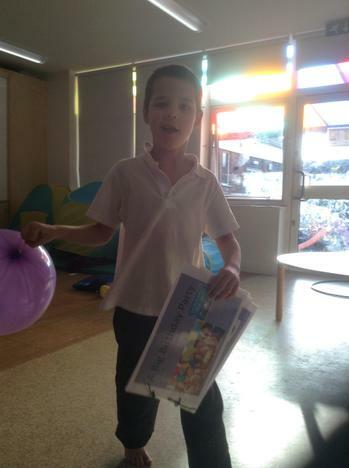 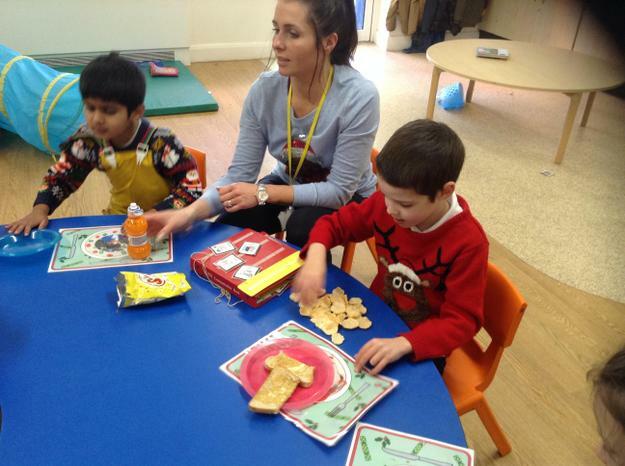 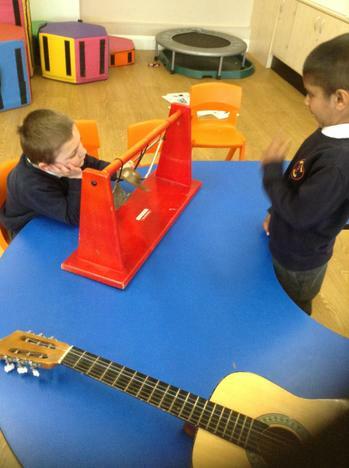 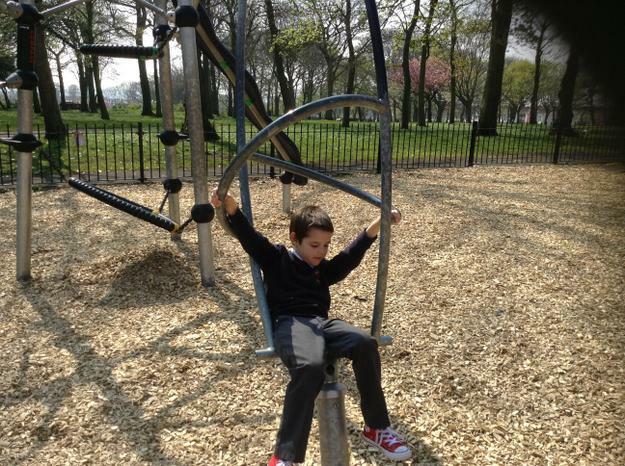 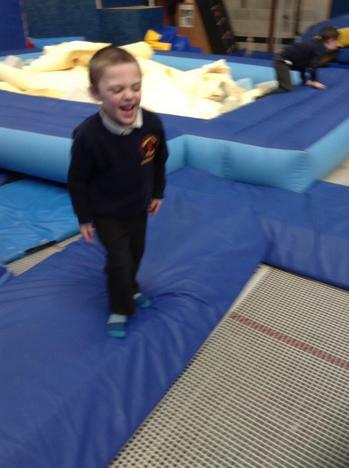 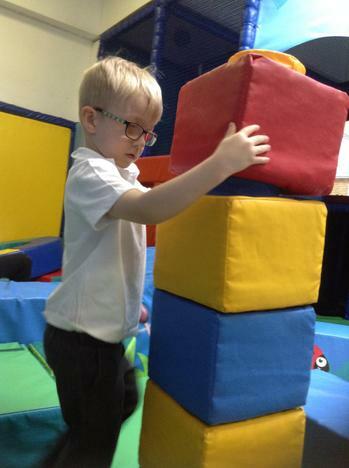 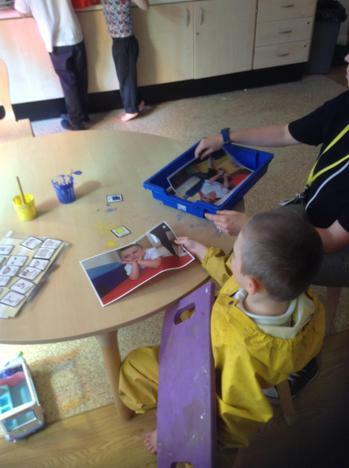 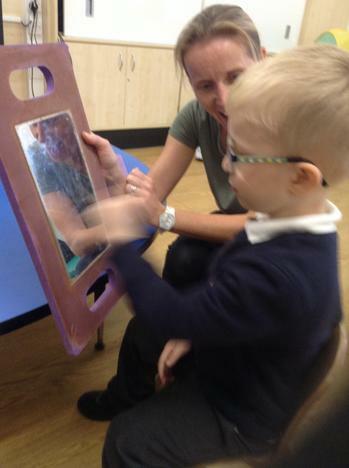 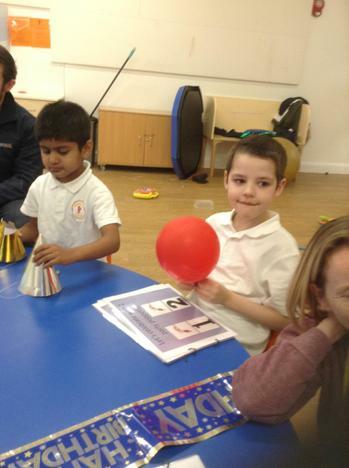 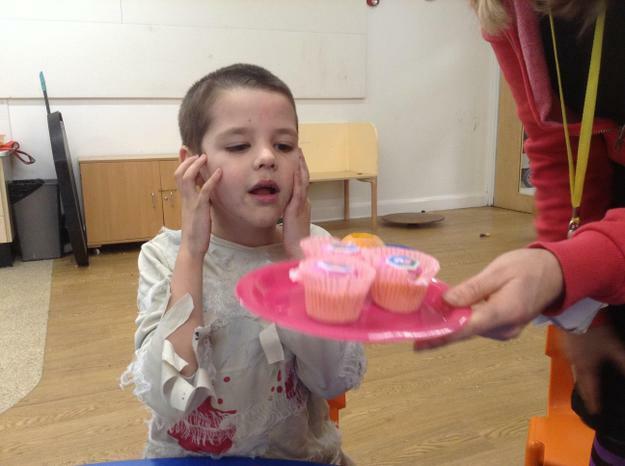 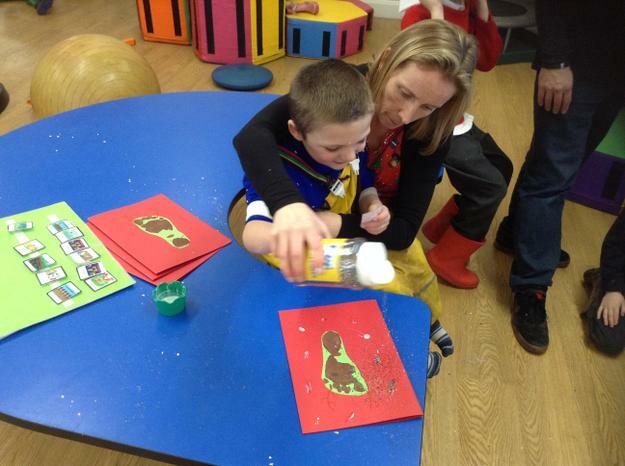 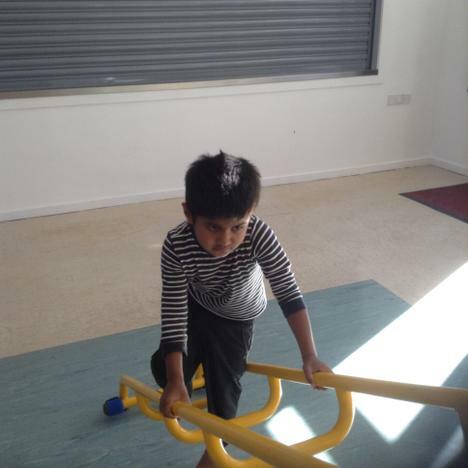 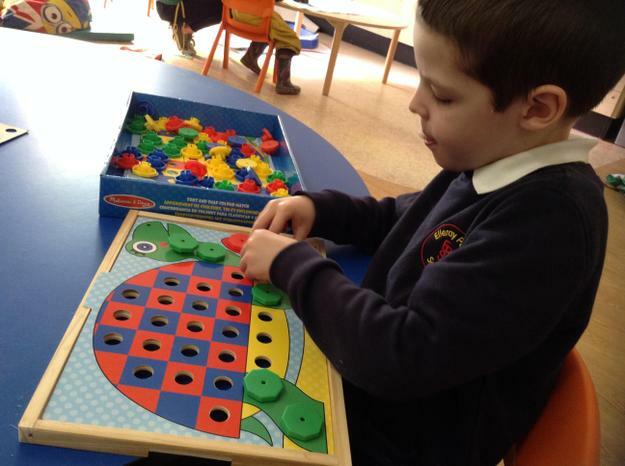 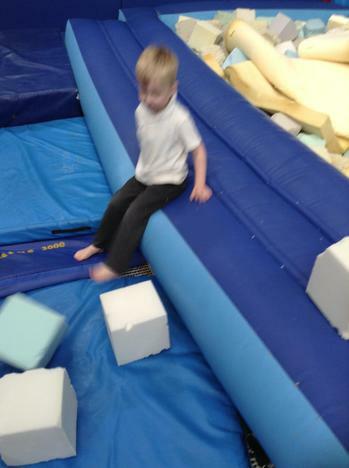 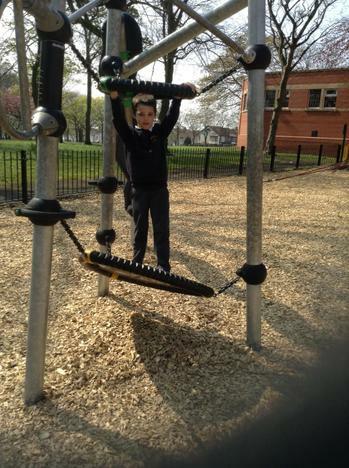 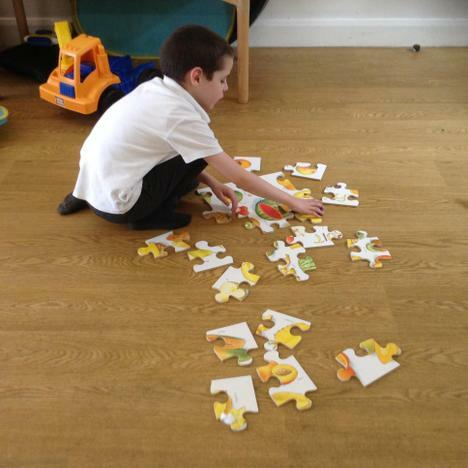 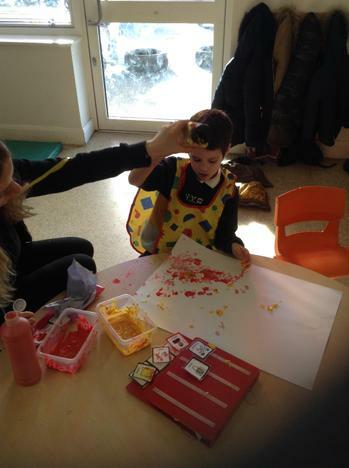 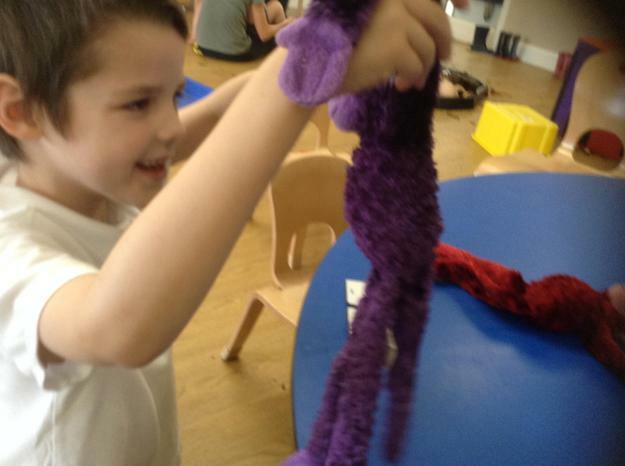 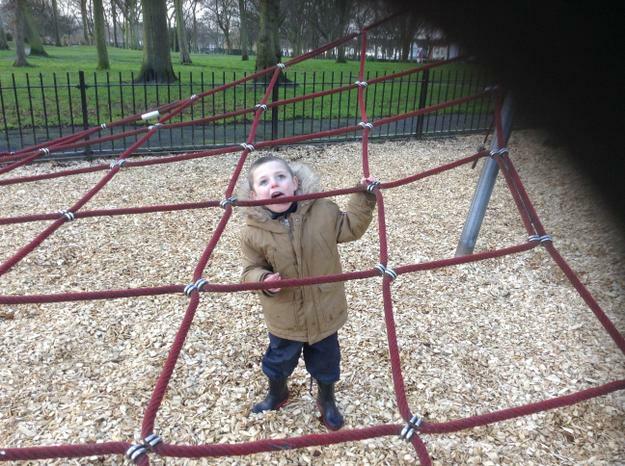 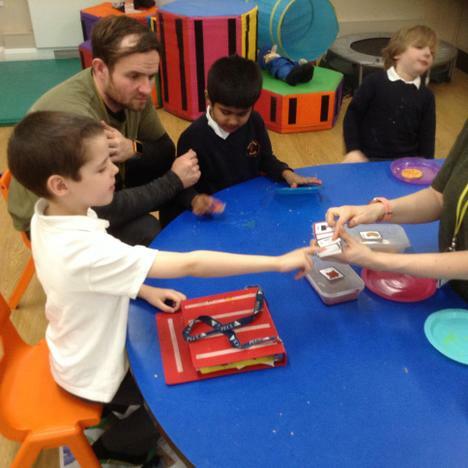 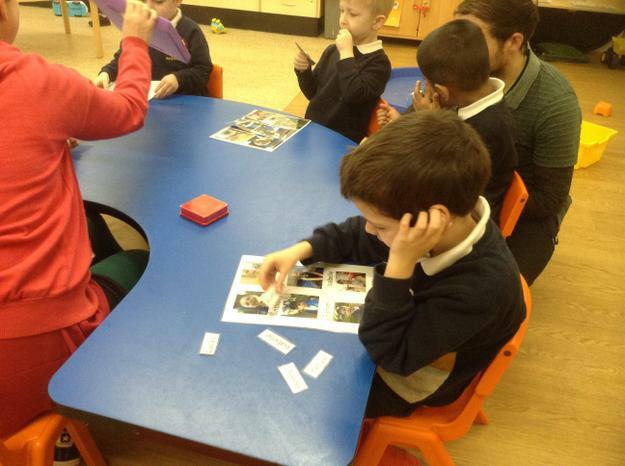 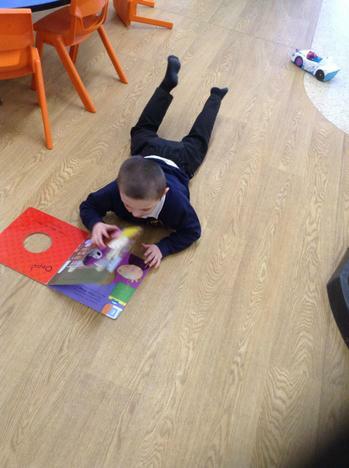 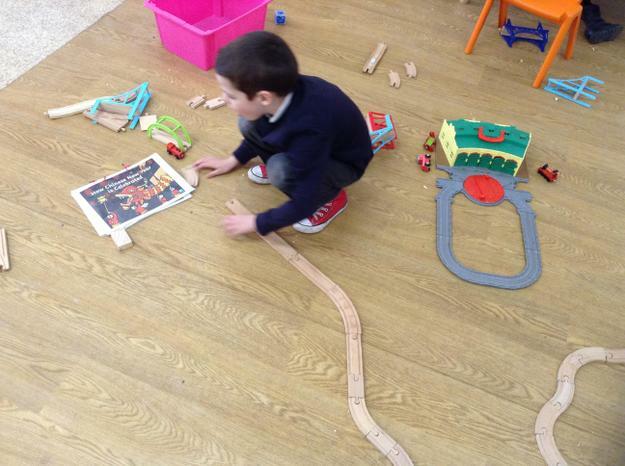 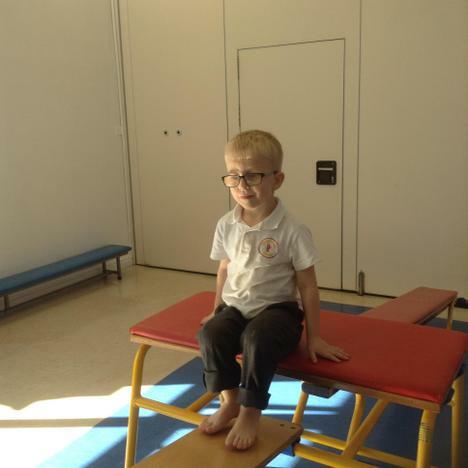 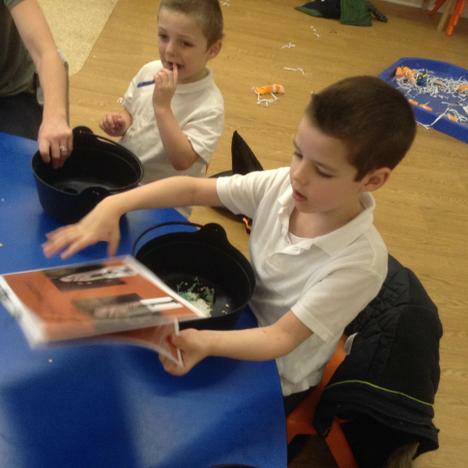 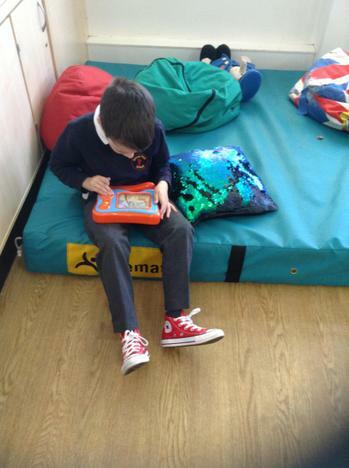 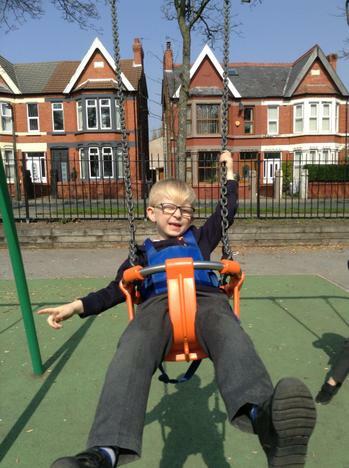 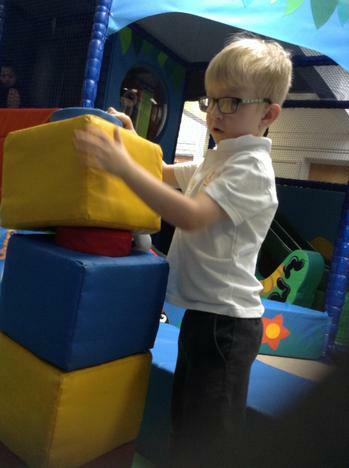 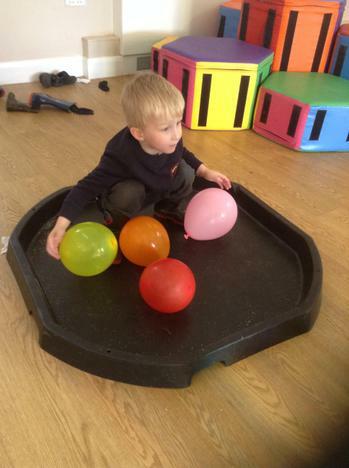 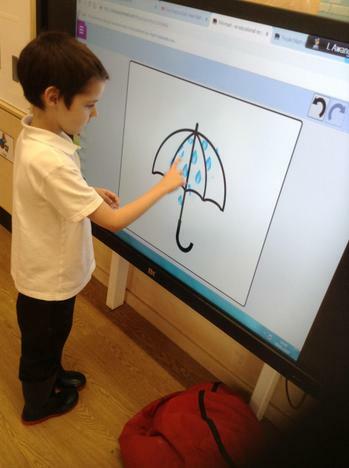 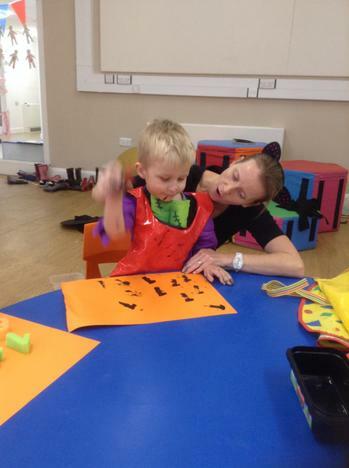 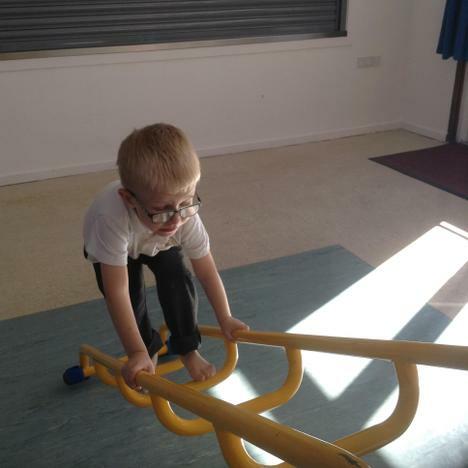 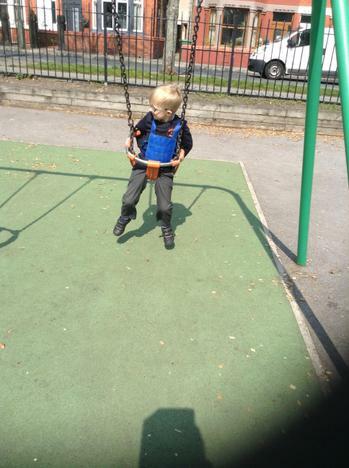 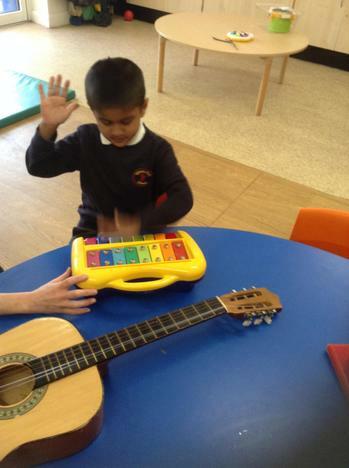 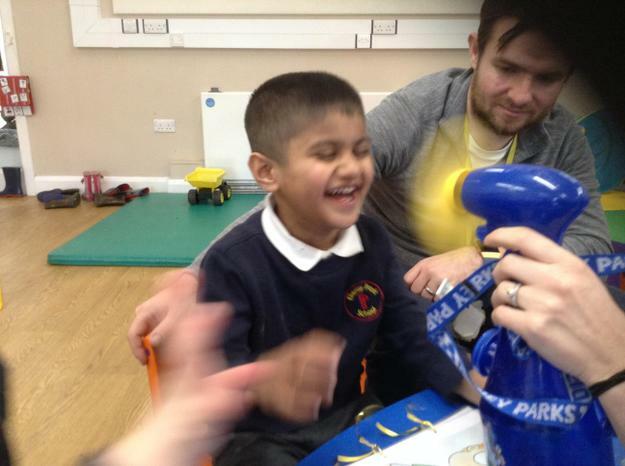 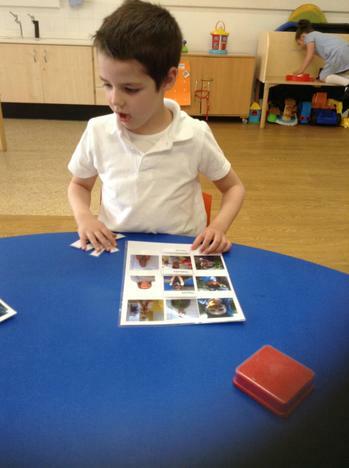 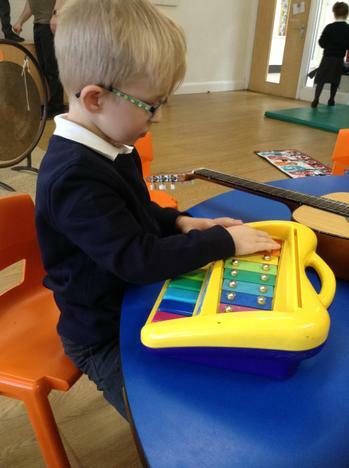 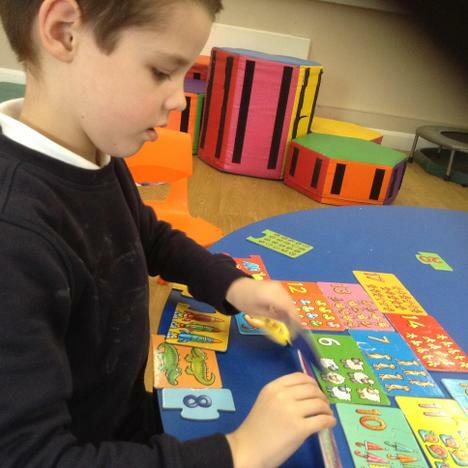 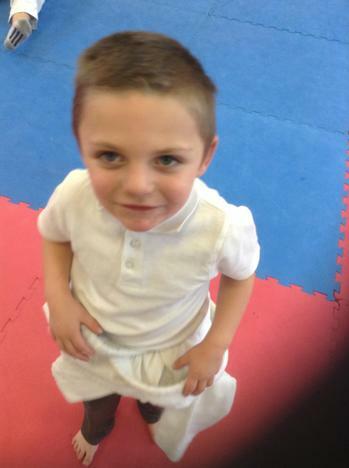 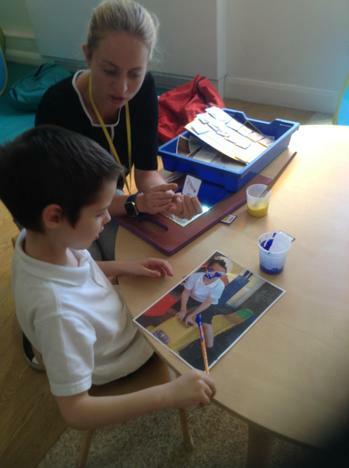 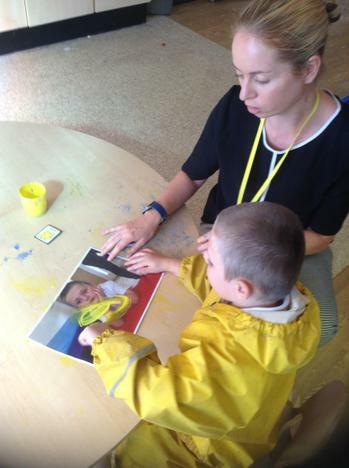 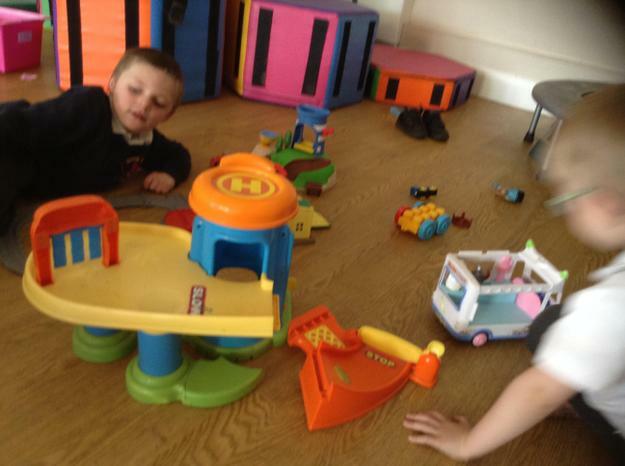 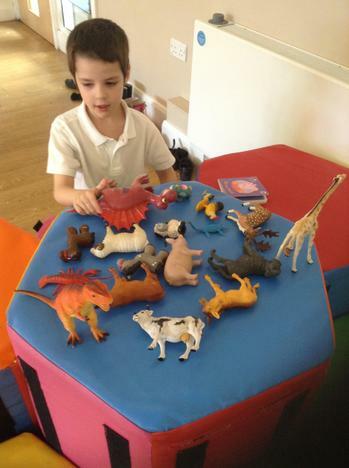 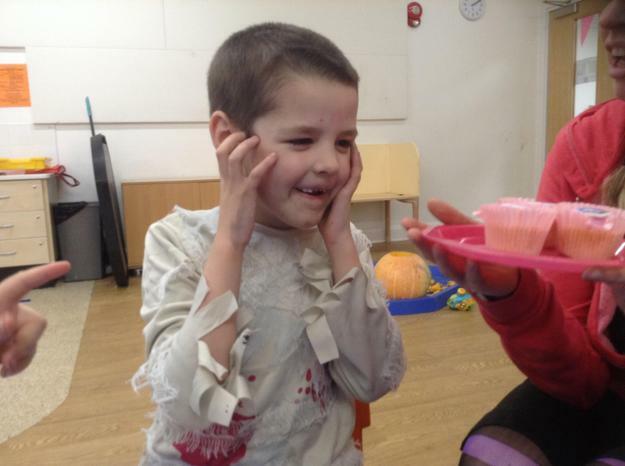 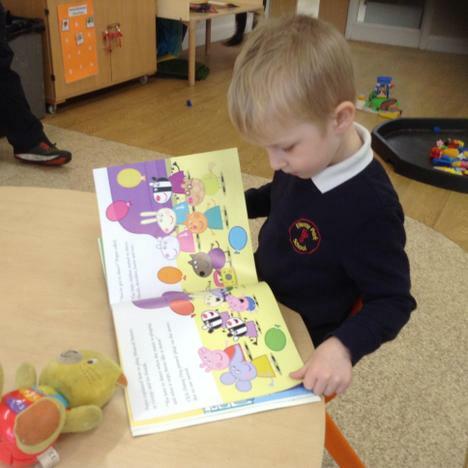 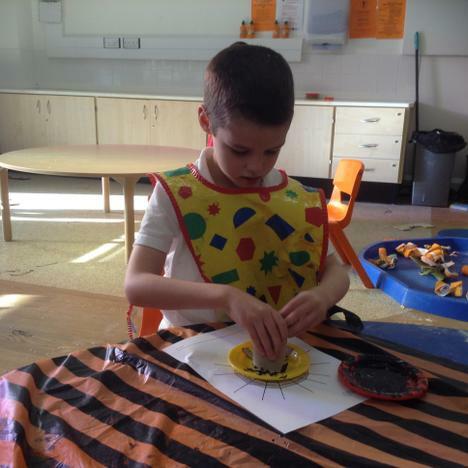 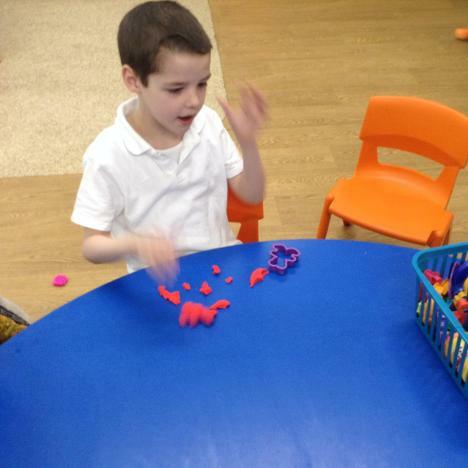 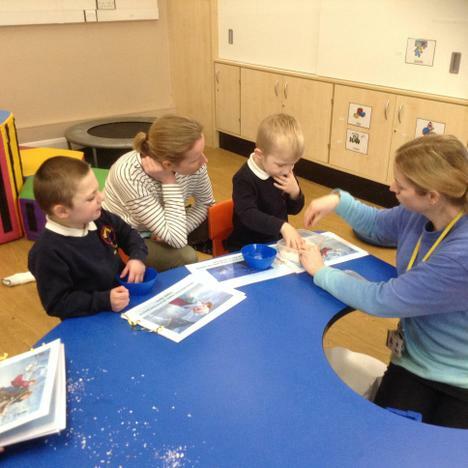 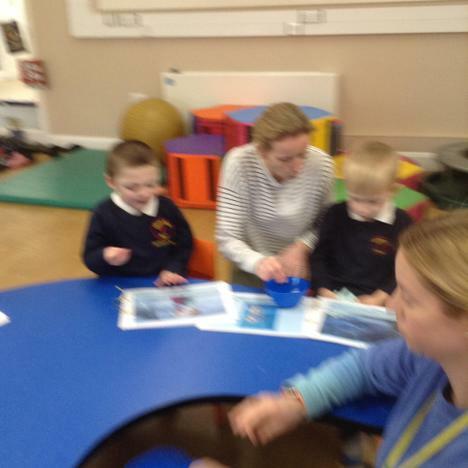 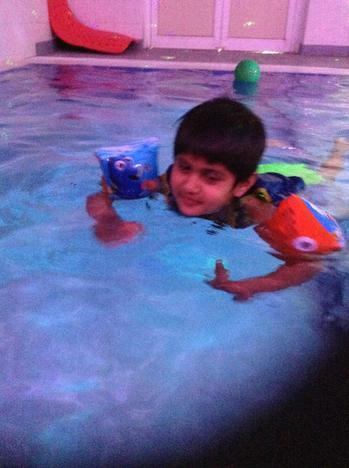 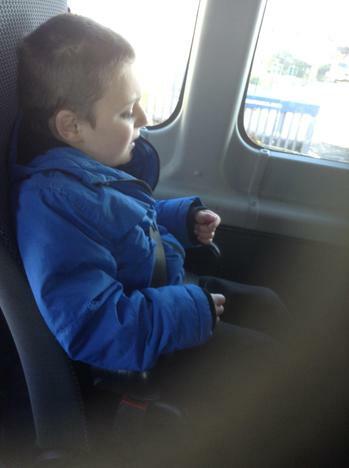 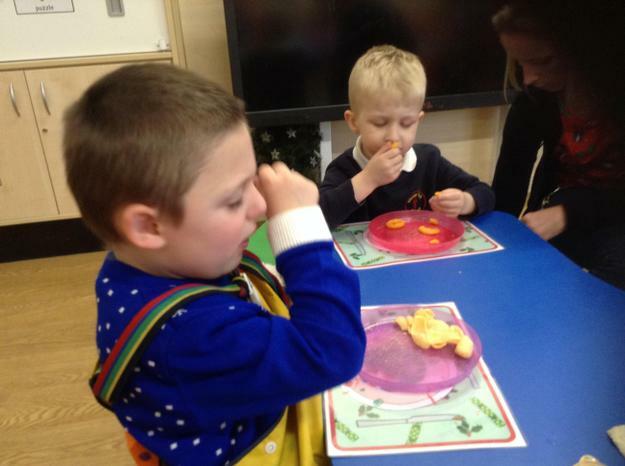 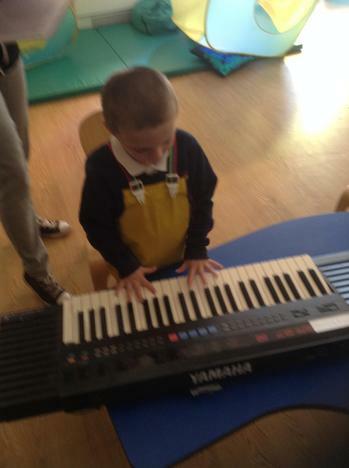 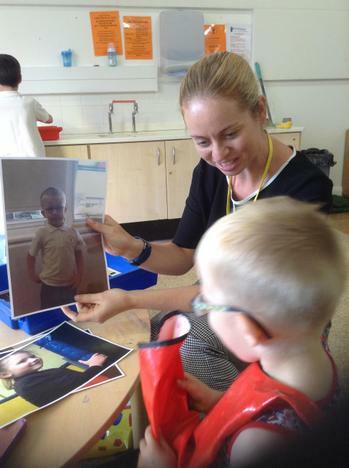 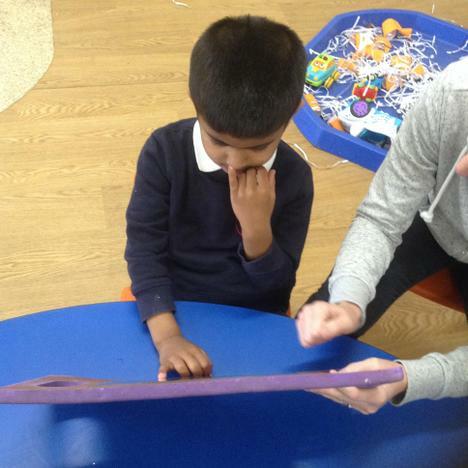 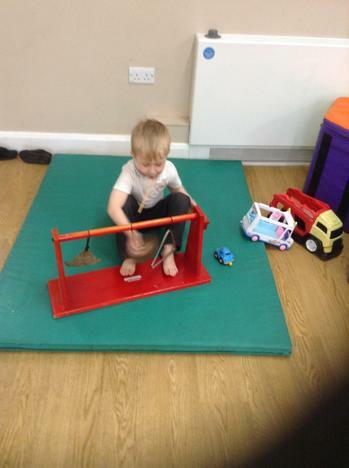 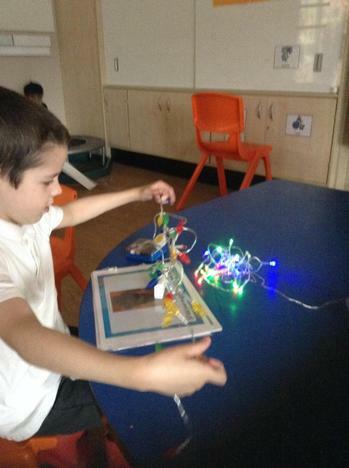 We also focus on communication and developing ways to become more independent. 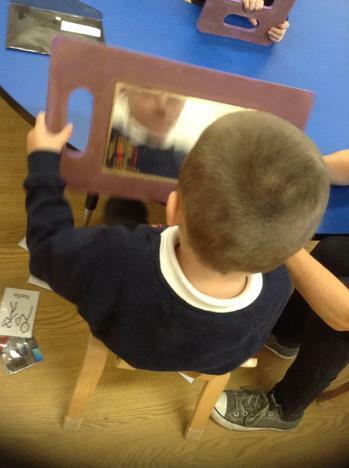 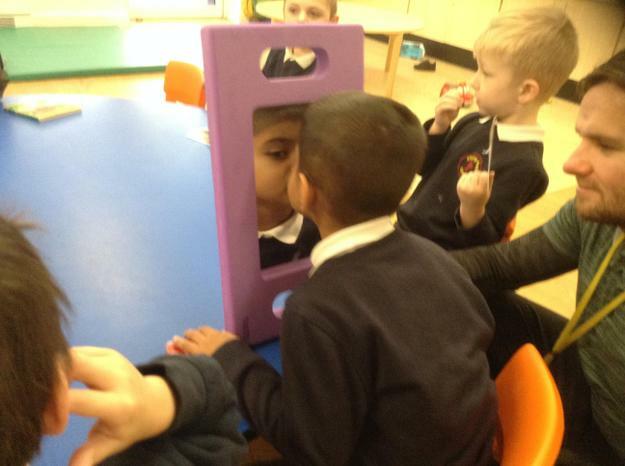 We have all settled well into our new class and our topic for the first half term has been 'all about me.' 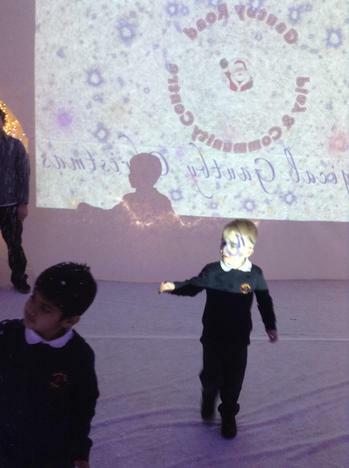 Take a look at what we have been up to so far.